Tribune’s Fox affiliate WXIN-TV Indianapolis announced on October 29 that they donated $15,000 to the non-profit RIP Medical Debt to erase nearly $1.5 million in debt for local people. A WXIN investigation showed that 23 percent of central Indiana residents have medical debt in collections. As of September 2018, 678,942 local people owe nearly $900 million. RIP Medical Debt buys debt in the secondary market for pennies on the dollar and uses donations to forgive it. Ten dollars wipes out $1,000 in debt. WXIN highlighted the story of Jada Storm, who was trapped inside her car after a vehicle crossed the median. Jada suffered four broken limbs, five broken ribs, two cracked vertebrae, a collapsed lung, lacerated liver, and lacerated kidney. Storm’s mom has received nearly daily calls from collection agencies for the intensive medical care. NBC-owned WCAU and Telemundo’s WWSI Philadelphia aired “Progress and Promise Against Cancer Day” live from 11 a.m. to 6:30 p.m. on November 8. More than 20 physicians and scientists from the American Association for Cancer Research (AACR) discussed cancer research, prevention, treatment, and early detection. They took questions in English and Spanish via email, text, phone and social media. “Our goal is to use our multiple platforms on air and online, to educate, inspire, and spark conversation in two languages about breakthroughs and advancements in cancer,” said News Director Anzio Williams. Cox Media Group’s Fox affiliate KOKI-TV Tulsa partnered with RIP Medical Debt to eliminate $1.3 million worth of debt, thanks to a donation from Cox. Families received letters regarding debt elimination on November 23 and were invited to share their stories on KOKI’s “Medical Debt Forgiven” series. KOKI launched another round of the campaign on November 28 to encourage viewers to donate to RIP Medical Debt. "We’ve already made a million-dollar impact on Green Country medical debt, but this is just the beginning of the story,” said News Director Tina Commodore. Entercom’s WEEI-AM/FM Boston, Mass., raised $4.4 million for cancer care and research during its Jimmy Fund radiothon, held August 21. The event has now reached the milestone of $50 million raised in 17 years. Raycom’s NBC affiliate WECT-TV Wilmington, N.C., raised awareness about mental health in April and May as part of its “Break the Silence About Suicide” campaign. According to the CDC, it’s the second highest cause of death of people 15 to 35. Stories from people in the community who have been affected by suicide aired Thursdays during the 5:00 p.m. newscast. Hearst’s ABC affiliate WCVB-TV Boston hosted the annual “5 for Ellie Fashion Show” on June 6. The event raised more than $230,000 to benefit the Ellie Fund’s mission to offer critical support services to breast cancer patients and their families. Paula Faris of ABC’s “Good Morning America” and “The View” emceed the event, along with special guest New England Patriots’ special teamer Matthew Slater and Billy Costa of iHeartMedia’s WXKS-FM Boston. The women of WCVB, including anchors Maria Stephanos, Rhondella Richardson, and Nichole Berlie, as well as Karen Holmes Ward and Shayna Seymour, hit the runway alongside former Ellie Fund patients. Raycom Media’s KSLA-TV launched their year-long partnership with the MLK Health Center and Pharmacy by sponsoring a clinic day at the center on April 24. The station’s participation included a $1,000 donation, air-time to promote the clinic day and an all-day newscast live from the event. The clinic day resulted in the center dispensing $19,000 worth of healthcare and prescriptions to those in need. MLK Health is a local, grass-roots non-profit that offers free healthcare and prescriptions to families who do not qualify for Medicaid and cannot afford health insurance. The center operates solely on donations. KJLH created the Women’s Health Expo to address the high rates of obesity, heart disease and breast cancer in the African American community. The expo is a daylong interactive event that gives thousands of women access to medical professionals, free health screenings, and vital information needed to maintain a productive and healthy life. For some of the women in the community, the expo is their only opportunity to receive free mammograms, diabetes and blood pressure screenings, and HIV/AIDS testing. The Women’s Health Expo was created 18 years ago in a small church as a resource for women to receive proper health care and has grown to host thousands of women in the Los Angeles and Long Beach Convention Centers. Beasley’s WMGC-FM Detroit launched on January 16 the “105K lb. Weight Loss & Healthy Living Challenge,” a 10-week program to encourage listeners to exercise and eat healthier. The challenge includes free weekly workouts, free Zumba classes, cooking demonstrations and advice from weight loss professionals. The final weekly workout takes place March 31. Salem Media Group’s KKLA-FM Los Angeles hosted its third annual “99.5 KKLA Health Fair” in Pasadena on January 20. Over 800 people attended this free event, which included breakfast, healthy snacks, goodie bags, free health screenings, seminars and workshops. This year’s event also featured live fitness demonstrations and cooking classes. The 30 health, wellness and fitness vendors included Huntington Hospital, Humana and United HealthCare. Entercom’s WEEI-AM/FM Boston raised $4 million for cancer research in the 16th annual “Jimmy Fund Radio-Telethon,” hosted August 15 – 16 in partnership with cable network NESN. The event featured appearances from WEEI on-air talent, local politicians and Boston sports stars, including Tom Brady of the New England Patriots and Dustin Pedroia of the Red Sox. Hearst’s ABC affiliate WCVB-TV Boston helped the Ellie Fund raise $250,000 on June 7 during its annual fashion show to support women battling breast cancer. A record 300 people attended the standing-room-only event, during which WCVB’s on-air female talent modeled the latest fashions. Paula Faris, co-host of "The View" and co-anchor of "Good Morning America: Weekend Edition," served as emcee. Five-time Super Bowl Champion Tom Brady passed out autographed footballs, helmets and jerseys. Since its inception, the annual spring fashion show has raised over $1 million for the Ellie Fund’s Healing Together Patient and Family Care Program, which provides support services for breast cancer patients and families across Massachusetts. Beasley Media’s WMMR-FM Philadelphia’s Preston & Steve hosted an all-day blood drive on June 17. They collected 1,226 productive pints of blood, including 144 of “power red.” A machine used for power red donations collects two units of red blood cells while returning plasma and platelets. Radio One’s national network raised $1.5 million for St. Jude Children’s Research Hospital during the Radio Cares for St. Jude Kids radiothon held March 9. Radio One’s top fundraisers were WPZE-FM Atlanta, WPRS-FM Washington, D.C. and the Detroit cluster, WCHB-AM, WPRZ-FM, WDMK-FM and WGPR-FM. Programs like this ensure that families never receive a bill from St. Jude for treatment, travel, housing or food. Since 2008, the event has raised nearly $12 million. Cumulus Radio’s WMAS-FM Springfield, Mass. raised $233,000 in its 16th annual radiothon at Baystate Children’s Hospital on March 8. All money raised directly benefits programs and services at the hospital. The event has raised nearly $4 million since 2002. Emmis’ WLIB-AM New York City raised more than $124,000 of St. Jude Children’s Hospital in a radiothon held March 12 – 13. Since its inception, WLIB has raised over $1.5 million for St. Jude. Watch video from the event here. CBS-owned KWY-TV and CW affiliate WPSG-TV Philadelphia raised $1.2 million in the eighth annual “Ronald McDonald House Charities Telethon,” on March 28. This year’s event brings the eight-year total to $ 7.4 million. Fuds supports four Ronald McDonald Houses, 16 Ronald McDonald Family Rooms and $130,000 in college scholarships. Townsquare Media’s KKLS-FM, KMXC-FM, KYBB-FM, KIKN-FM, KSOO-AM Sioux Falls, S.D. 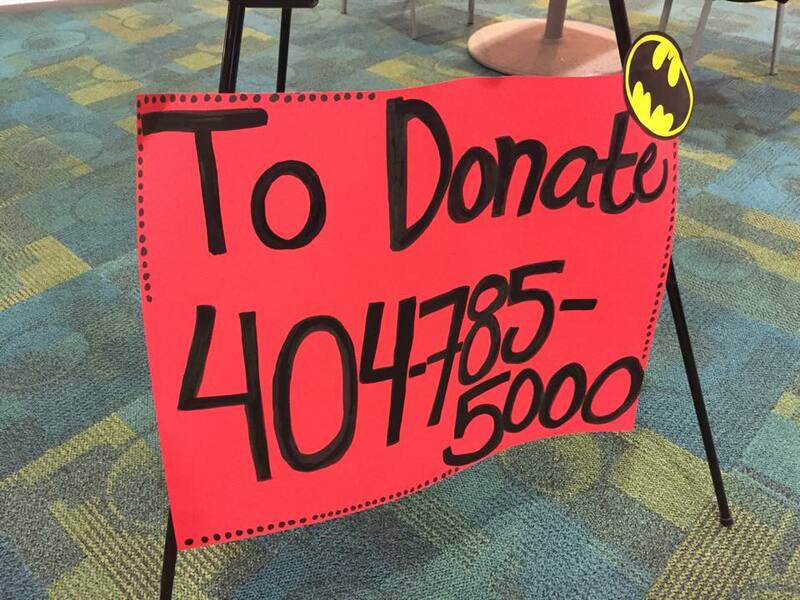 raised $325,000 in their 10th Annual “Cure Kids Cancer Radiothon” at the Sanford Children’s Hospital, held March 2 – 3. All funds support programs for children at the hospital. Saga Communications’ six station cluster in Jonesboro, Arkansas teamed with Raycom Media’s ABC affiliate KAIT-TV Jonesboro to raise $351,123.25 for the Make-A-Wish foundation at the 19th annual “Have-A-Heart Wishathon.” The event was held February 17.
iHeartMedia’s WKDD-FM Akron raised $551,886 during its 18th annual “Have a Heart, Do Your Part” radiothon that ended on February 11 to benefit Akron Children’s Hospital. This year’s fundraiser netted almost $100,000 more than what was raised in 2016. 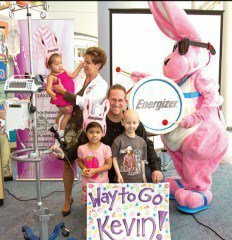 Akron Children’s Hospital uses the money raised to buy child-size medical equipment and to fund patient care, community outreach and research. Midwest Communication’s WNCY-FM Appleton, Wis. raised a record $300,000 in its 20th annual “St. Jude Radiothon,” held February 9-10. This brings the 20-year total to $4.6 million. NBC owned-and-operated WMAQ-TV Chicago aired this in-depth report on dementia, featuring sports anchor and former football player Mike Adamle. Adamle has been off the air for a year due to dementia, which was caused in part by football injuries. Zimmer Radio’s KCLR-FM, KTXY-FM, KATI-FM and KSSZ-FM Columbia, Mo. raised $250,000 in its “Miracles For Kids Radiothon,” held February 16 – 17 for the University of Missouri’s Women’s and Children’s Hospital. This is a 25 percent increase over 2016 and brings the 11-year total to $2 million. iHeartMeda’s WSIX-FM Nashville hosted the “Bobby Bones & The Raging Idiots’ Million Dollar Show For St. Jude” on January 9, which raised $2 million for St. Jude Children’s Research Hospital. Country music superstars Garth Brooks, Brothers Osborne, Thomas Rhett Craig Campbell, Lindsay Ell, Sam Hunt, Rascal Flatts, Caitlyn Smith and The Band Perry performed at the event. Graham Media Group’s NBC affiliate WDIV Detroit covered issues critical to the community, including health, politics and the economy. WDIV launched “Get Fit 4 Life,” an eight-week program hosted by WDIV reporter Paula Tutman and fitness expert Maria Marino. The initiative launched with an on air profile of four people choosing to lose weight, add muscle or exercise more. It continues with on air segments on setting goals and staying accountable, plus a chance for viewers to encourage each other through Tutman’s “Local 4” Facebook page. WDIV sent news anchor Kimberly Gill to report live from the inauguration of President Donald Trump and to cover the Women’s march the next day. Gill updated viewers during newscasts and with live reports on Facebook. Her Facebook Live reports had a combined 172,000 views. Raycom’s CBS affiliate KFVS Cape Cape Girardeau, Mo. collected 628 pints of blood during the 22nd annual "Heartland Blood Drive," held January 11-14 at seven locations in Southeast Missouri and Southern Illinois. The event launched January 11 with a private drive in the KFVS studio. It was a success despite the ice storm that caused most collection locations to shut down for part of the campaign. Univision Nework’s fifth annual “TeletónUSA,” airing December 2 – 3, raised $15.7 million to improve the lives of children with neuromusculoskeletal disabilities, cancer and autism. “TeletónUSA” featured the theme “Nuestra Causa” (Our Cause) and included a variety of Latin music stars and some of the network’s best-known on-air personalities. The telethon took place in Los Angeles and featured live feeds throughout the show from Miami and San Antonio. It also streamed live online. Bonneville International’s KYGO-FM Denver raised $307,000 in its “St. Jude Radiothon,” held December 15 – 16. KYGO-FM fundraised for St. Jude earlier in 2016, bringing the yearly total to $518,752. CBS Radio’s WYCD-FM Detroit raised $551,272 for St. Jude Children’s Research Hospital in its 16th Annual “99.5 WYCD Country Cares for St. Jude Kids” radiothon, December 8 - 9. Several donations were dedicated to WYCD’s Linda Lee, who was diagnosed with stage four lung cancer a few months ago. Lee called in from her chemotherapy session, urging listeners to donate. Alpha Media’s WPBG-FM Peoria, Ill. collected $633,000 in its 16th Annual Drive for Miracles radiothon, held December 8 – 9 for the Children’s Hospital of Illinois. “We have been doing this for 16 years and every year I am amazed and humbled at the generosity of the community. Radio gives us the ability to reach so many like-minded people who get behind an important cause and make a difference. It’s very rewarding,” said morning show host John Riley. Cox Media Group’s stations KKBQ-FM, KHPT-FM, KTHT-FM and KGLK-FM Houston raised $655,000 for Texas Children’s Hospital in the 13th annual radiothon, December 1 – 2. Money supports patient care, education, research, a new pediatric tower center and the opening of a community hospital. Raycom Media’s Fox affiliate WXIX-TV Cincinnati continued tis “Think Pink” initiative on November 18. The station hosted the St. Elizabeth Healthcare Mobile Mammography Van at its studio. Local women were invited to undergo a routine mammography without scheduling an appointment. Financial assistance was available to those who could not afford the screening. Entercom’s WEEI-AM/FM Boston raised more than $3.5 million for the Dana-Farber Cancer Institute in a radiothon held August 29-31. The 42-hour event included Boston sports stars Tom Brady, Brad Stevens, David Ortiz, Robert Kraft and Curt Schilling. The event has raised over $42 million since its inception. Raycom Media’s ABC affiliate KOLD-TV Tucson hosted a phone bank benefitting the “2016 Tucson Walk to Defeat ALS” and the ALS Association Arizona Chapter on June 23. Funds raised went toward services for ALS patients and their families in Southern Arizona. Greater Media’s WMMR-FM Philadelphia collected a record 1,297 units in its 11th annual “I Bleed for Preston & Steve Blood Drive” on June 18. As each donation can save three lives, this event may save 3,891 people. Morning personalities Preston and Steve greeted listeners throughout the day. Each donor received a Preston and Steve t-shirt and pint glass. In addition, 600 random donors received a pair of concert tickets. WMMR hosts the area’s largest blood drive, with 12,605 pints collected in 11 years. Raycom’s Fox affiliate WXIX Cincinnati partnered with St. Elizabeth’s Healthcare on “Think Pink” to offer convenient, fast mammograms on June 17. WXIX provided information on scheduling and necessary documentation during “FOX19 NOW in the Morning.” The test took ten minutes in the St. Elizabeth’s van, making it easier for busy women to get screened. Qualifying women took the test free of charge. Hearst’s ABC affiliate WCVB-TV Boston and The Ellie Fund raised $170,000 during the 10th annual "Kelley for Ellie" fashion show, held June 1. The Ellie Fund is a local organization that provides support services for breast cancer patients, allowing them to focus on family and recovery. WCVB staffers always serve as models during “Kelley for Ellie,” which is named for longtime WCVB reporter and breast cancer survivor Kelley Tuthill. This year, surprise guest New England Patriots Quarterback Tom Brady tossed footballs to the audience, helping them raise 40 percent more than last year. “Kelley for Ellie” has raised nearly $1 million since WCVB and The Ellie Fund launched the event. Raycom Media’s KOLD-TV Tucson served as the media sponsor for the 10th annual “National Alliance of Mental Illness Walk.” The annual event raises funds for NAMI Southern Arizona’s no-cost programs and services and fights against the stigma surrounding mental illness. Ninety-one percent of the raised funds stays in Arizona. The station also produced a 30-minute special titled “Mental Health: Standing up to Stigma,” which aired March 31. Local mental health organizations participated and viewers were able to ask questions via Facebook Live. The show also included a phone bank. Cox Media Group’s KIRO-TV Seattle partnered with the Juvenile Diabetes Research Foundation (JDRF) Seattle Guild to raise funds and awareness in the pursuit of a cure for type 1 diabetes. The station was the official media partner for the 27th Annual Dream Gala, which brought together more than 900 community leaders and committed JDRF supporters to raise nearly $3 million. To date, the event has raised more than $68 million to fund research to prevent, treat and ultimately cure type 1 diabetes. Raycom Media’s CBS affiliate WBTV Charlotte partnered with Levine Cancer Institute: Project PINK and Charlotte Radiology to provide uninsured women 40 and older with a free Project PINK mammogram screening on May 6. WBTV featured multiple live hits throughout the day, featuring local survivors and medical professionals. NBC-owned WNBC-TV and Telemundo’s WNJU New York City hosted 40,000 people at the annual Health and Fitness Expo, May 14-15 at MetLife Stadium. The expo’s free health screenings tested for cholesterol, vitamin D, kidney function and blood sugar level. Attendees could kick field goals, visit the Giants’ locker room and meet on-air personalities, former NFL Super Bowl champions and Gold Medal Olympians. “The Expo is not only unique, fun-filled and free to attend, but it provides visitors with the tools they need to live a healthier, more active lifestyle,” said WNJU General Manager Cristina Schwarz. Graham Media Group’s WJXT Jacksonville, Fla. partnered with the Florida Dental Association on a free clinic that provided over 5,000 dental procedures to 2,900 patients on April 22 – 23. The services, valued at $2.7 million, included fillings, examinations, extractions, root canal therapy, children’s care and cleanings. People began to line up two days prior to the event. "The ability of WJXT to get the word out and reach the dentally underserved was absolutely astonishing as witnessed by the tremendous turnout of dental patients on both days," said Dr. Roger Robinson, an event organizer. June 10, 2016 – Alpha Media Radio Salina, Kan. raised over $560 for the “Love, Chloe Foundation” at the first annual “Wine Walk” during the “For Women Only Show,” held April 28. Heidi Feyerherm-Smith founded the “Love, Chloe Foundation” to honor her daughter, Chloe, who lost her fight with cancer several years ago. The foundation helps children battling cancer and aids doctors and researchers in finding a cure. “Alpha Media, Salina, is pleased to support this wonderful charity and will continue its efforts to bring attention to and provide resources to deserving charities and causes in our local community,” said Promotions Coordinator Danielle Norwood. Raycom Media’s WAVE-TV Louisville held a phone bank on April 12 to benefit Alzheimer’s research. Nine employees of the Alzheimer’s Association answered phones from 5 – 8 p.m., taking 110 total calls. The Association was able to refer viewers to their 24-hour hotline, which is key to spreading important reference and assistance material. Manship Station’s ABC affiliate KRGV-TV Weslaco, Tx. dedicated its full resources to address the impact of diabetes during its two-week "Heart of the Valley" initiative, which aired from March 28 - April 10. KRGV aired 23 stories at 6 p.m. and 10 p.m., examining the roots of the diabetes epidemic and how to address it. All reports also aired in Spanish and are available online in both languages. KRGV hosted 10 hour-long Facebook Livestream sessions with a local doctor or expert addressing different aspects of diabetes and answering questions. The Facebook sessions reached 56,000 people and generated 1,000 comments, 2,300 reactions and 300 shares. During the two-week initiative, 6,500 free diabetes screenings were completed. Viewers shared that "the stories empowered them to speak out for their own health and realize they aren’t alone in battling the disease," said General Manager John Kittleman. "We are proud of the effort." Heartland Media’s NBC affiliate WKTV Utica, N.Y. raised $96,000 in the “Stomp Out Cancer” telethon, March 23. The Mohawk Valley Health System Cancer Center will use the funds for a new 3D imaging mammography device to help doctors detect cancer early. Cox Media Group’s WFXT-TV Boston employees took on 82 flights of stairs to fight lung disease at the American Lung Association’s “Fight For Air Climb” on February 6. The station’s sponsorship of the race helped generate more than $480,000. Raycom’s CBS affiliate KFVS Cape Girardeau, Mo. hosted the 21st annual Heartland Blood Drive, Jan. 14-16 at seven locations in Southeast Missouri, Southern Illinois and Western Kentucky. More than 1,300 viewers donated blood, resulting in 1,033 usable pints that will help re-stock short supplies. 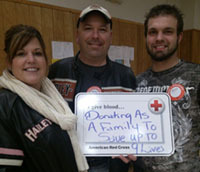 According to the Red Cross, the Heartland Blood Drive is one of the most successful drives in the Midwest. Watch video. E.W. 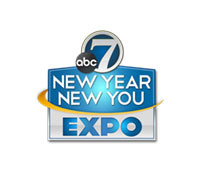 Scripps’ ABC affiliate KMGH-TV Denver hosts The New Year New You Expo on Jan. 30. Attendees received a free seven-minute makeover including customized hair, make-up and fashion tips. Health, beauty, finance and education specialists provided guidance on setting and achieving wellness goals. “Colorado is filled with ambitious people looking to make positive changes in their lives and we wanted to create a place for people to find support,” said Brad Remington, KMGH’s general manager. Midwest Communication’s KOYY-FM Fargo, ND raised $165,000 for Sanford Children’s Hospital during the 16th Annual Cares for Kids Radiothon, Jan. 28-29. Patients and families share personal stories about how the Children’s Hospital has made a difference in their lives. 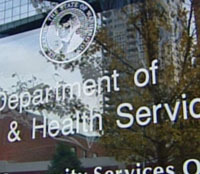 Tegna’s NBC affiliate KING-TV Seattle investigated wait times that developmentally disabled residents face when accessing services, including speech, occupational and physical therapy, adaptive equipment, transportation, medical supplies, training and counseling. The problem was first documented in 1950, Washington state created a wait list for people who met the criteria to be deemed eligible for assistance. At launch, 1,000 people were on the list. Today, there are nearly 15,000. Gray Communication’s KPFX-FM Fargo, N.D. hosted the annual “61for61 Radiothon” with Sanford Health to benefit the Roger Maris Cancer Center. The radiothon, in addition to three days of events, such as a family cookout, silent auction and run/walk, raised more than $111,000. Entercom Communications’ WEEI-AM/FM and the New England Sports Network (NESN) raised $3.3 million in its annual radiothon for the Jimmy Fund, held Aug. 18-19. In 14 years, the event has raised more than $40 million for the Dana-Farber Cancer Institute for research and care. Click here for more information, including audio and video clips. CBS Television’s owned-and-operated WCBS-TV and WLNY-TV New York joined the fight against lupus by serving as the official media partners during the Alliance for Lupus Research’s New York City Walk with Us to Cure Lupus. Sports anchor and reporter Steve Overmyer served as an emcee for the event, which took place at Pier 86. Both stations promoted the ALR’s walk through PSAs, countdown spots, in studio interviews, on-air mentions during newscasts and weathercasts. Also, cbsnewyork.com featured a dedicated event page for the walk. Schurz Communications, Inc. owned KSCW and KWCH Wichita, KS supported multiple women’s health initiatives throughout the month of July. Examples include the American Heart Association’s “Go Red Ladies Night Out,” Susan G. Komen’s “Pink Promise Luncheon” and Habitat for Humanity’s “Women’s Power Lunch.”Additionally, the stations ran multiple stories that focused on the danger of leaving children and animals unattended in cars during hot summer months. Cox Radio’s WBAB-FM Long Island’s emcee “Fingers” is the brainchild of the “WBAB Sticky Finger Run,” which raises funds to support woman affected by breast cancer on long Island. After partnering with Mather Hospital’s Fortunato Breast Health Center, “Fingers” looked for the perfect place to host a Motorcycle Run. The run ended at the Great South Bay Music Festival. No other motorcycle run on Long Island ends at a festival of this magnitude and provides such an exciting way for riders to celebrate after a successful ride. Since its inception in 2007, the WBAB Sticky Finger Run has raised over $180,000 for the Mather Hospital, as well as incredible awareness for the struggle of those suffering from Breast Cancer and their families. Under its local health initiative, UNASE AL RETO (Join the Challenge) to promote healthiness, Univision Arizona welcomed 150 community members to the Avondale Sports Complex on Saturday, July 25. The event was focused on promoting exercise and a healthy lifestyle where community members were joined by Univision Arizona sports anchor Felipe Corral. Monthly events are held in community centers and schools around the city. NBC’s Telemundo affiliate WSCV-TV Miami raised $4.1 million during a telethon for La Liga Contra el Cancer, bringing the event’s 17-year total to $60 million. 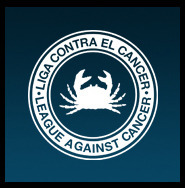 La Liga Contra el Cancer provides free medical screenings and treatments. "As we move into our 31st year, we remain committed to our audience as providers of journalistic excellence in our newscasts, as a preferred provider of entertainment and as a major supporter of efforts on behalf of our community," WSCV President Jorge Carballo told TVNewsCheck. 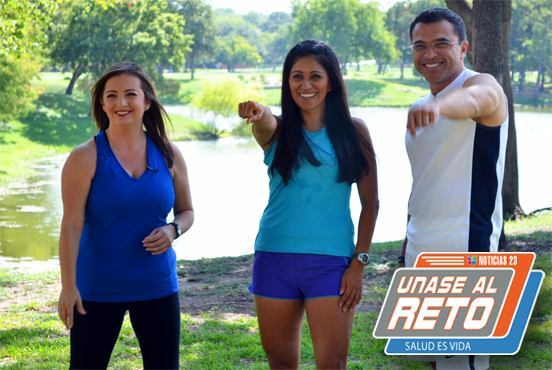 Univision Communications Inc., as part of its Univision "Contigo" platform, held a month-long multi-platform health and wellness campaign in June, with participation spanning its 67 radio and 60 television stations nationwide. More than 300,000 people signed up to receive weekly diet and fitness tips during the campaign. Univision’s third annual "Semana de la Salud" (Health Week), held June 6-13, provided more than 9,000 free health screenings to more than 32,000 people. > CBS Television’s KYW-TV and CW affiliate WPSG-TV Philadelphia’s ninth annual "Alex Scott Phone Bank" on June 11 raised a record of almost $3 million for Alex’s Lemonade Stand Foundation (ALSF)’s pediatric cancer research. ALSF emerged from four-year-old cancer patient Alex Scott’s lemonade stand. She died in 2004. The telethon featured KYW Meteorologist Kathy Orr’s lemonade stand in Ocean City, N.J., and segments with Alex’s parents, local celebrities, the Phillie Phanatic and personalities from CBS Radio’s KYW-AM, WOGL-FM, WIP-FM, WXTU-FM and WRDW-FM. CBS Philly has raised $12 million for ALSF to date. E.W. 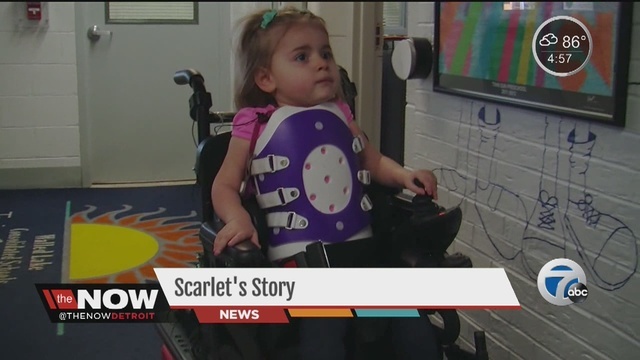 Scripp’s ABC affiliate WXYZ-TV Detroit anchor Stephen Clark shared the story of his granddaughter Scarlet’s battle with spinal muscular atrophy (SMA) on a May 8 broadcast. SMA, the number one genetic killer of children, causes muscle weakness and paralysis, for which there is no cure. Clark shared Scarlet’s story, in addition to that of another child, who has begun clinical trials that may help find a cure. “This is the most intensely personal story I’ve reported in 35 years, my granddaughter Scarlet’s story,” said Clark. 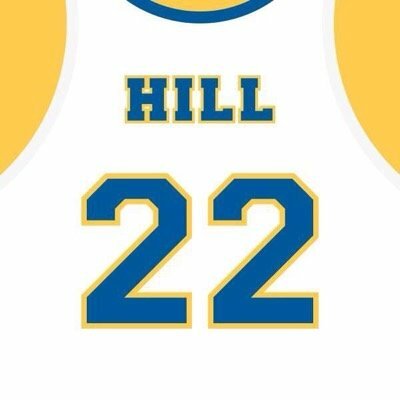 Cincinnati television stations including Hearst’s NBC affiliate WLWT-TV, Raycom Media’s Fox affiliate WXIX-TV and Sinclair Broadcasting’s CBS affiliate WKRC-TV helped Lauren Hill reach her $1 million goal to support cancer research through The Cure Starts Now on December 30. She reached her goal, passing $1.1 million. Early in 2014, Lauren played in her first collegiate basketball game in front of thousands of supporters while battling a rare, terminal form of brain cancer called DIPG. She set the $1 million goal after that game. Raycom Media’s NBC Affiliate WAVE-TV Louisville, Ky. supported the American’s Cancer Society during breast cancer awareness month. Anchor Dawne Gee emceed the annual “Making Strides to End Cancer Walk” and conducted live interviews before and after the event. Also, the station donated air time for hundreds of PSAs to broadcast, encouraging people to register for the cancer walk. WAVE employees also formed a team for the walk to raise money for the American Cancer Society. Univision Communications Inc. (UCI) Houston, Tex. hosted Copa Univision, a soccer tournament to promote family health. 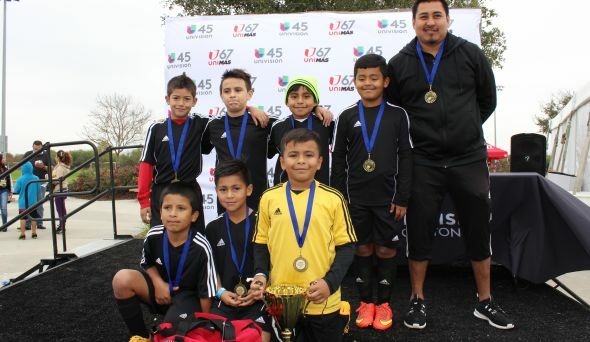 On Dec. 6-7, 72 teams participated this year in soccer matches at the Houston Sports Park. Over 3,000 people attended the tournament and enjoyed music and entertainment. KXLN-TV news anchors signed autographs. In addition, Univision Radio stations including KLTN-FM, KOVE-FM, KAMA-FM,and KQBU-FM provided free giveaways to participants. 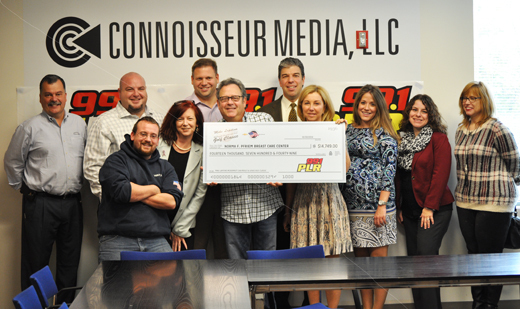 Connoisseur Media’s WPLR-FM New Haven, Conn., raised $14,749 for The Norma F. Pfriem Breast Care Center at Bridgeport Hospital. WPLR’s annual Golf Classic, hosted by afternoon personality Mike Lapitino, has raised nearly $200,000 in support of the center over 14 years. "If I made any difference in someone’s life concerning breast cancer at the Norma F. Pfriem Breast Care Center, then that’s a legacy I am proud of," Lapitino said. Alpha Media’s Louisville, Ken., stations - WGZB-FM, WDJX-FM, WMJM-FM, WXMA-FM and WGHL-FM - raised $945,000 during its 6th Annual Kosair Children’s Hospital Radiothon on Nov. 20 and 21. In the past five years, the stations raised over $1 million. This year, they far exceeded their goal of $300,000, raising almost as much as the past five years combined. "This wonderful event has driven our team for six years and we look to do many more in the future," said Alpha Media Louisville Market Manager Dale Schaefer. 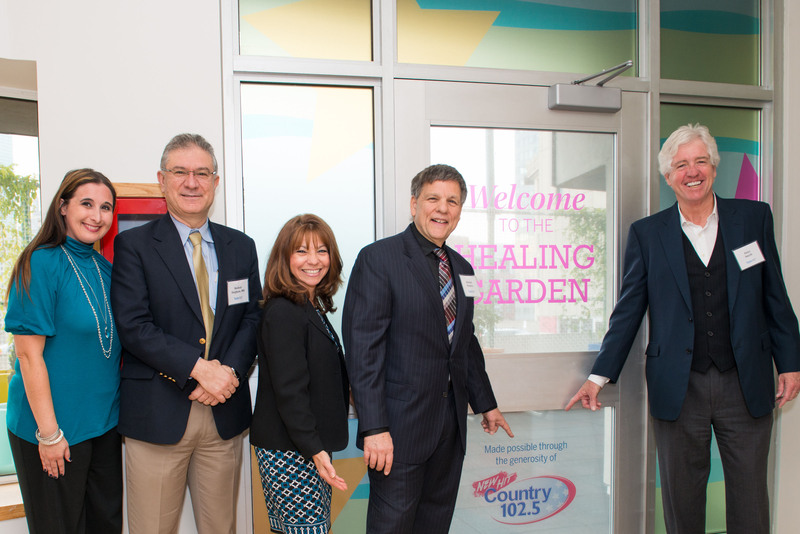 Greater Media’s WKLB-FM Boston was recognized for its support of Tufts Floating Hospital for Children when the hospital opened The Country 102.5 Healing Garden, named in honor of WKLB-FM. The Country 102.5 Healing Garden is an outoor space designed to provide relief for pediatric patients and their families during hospital stays. Country music artists, including Carrie Underwood and Rascal Flatts, have performed in the garden to lift the spirits of patients and families, as well as raise funds for the hospital. Hunter Hayes’ recent performance raised $40,000. "We are so proud and humbled to have the Healing Garden named after Country 102.5," said WKLB-FM Program Director Mike Brophey. "Funds we helped raise were used to reconstruct and beautify the area for patients and their families to enjoy..."
iHeartMedia’s Memphis, Tenn. stations, WHRK-FM, KJMS-FM, WHAL-FM and WDIA-AM, raised $201,000 to support St. Jude Children’s Research Hospital during their annual two-day radio broadcast in October. This year’s event nearly doubled the amount the stations raised in 2013. 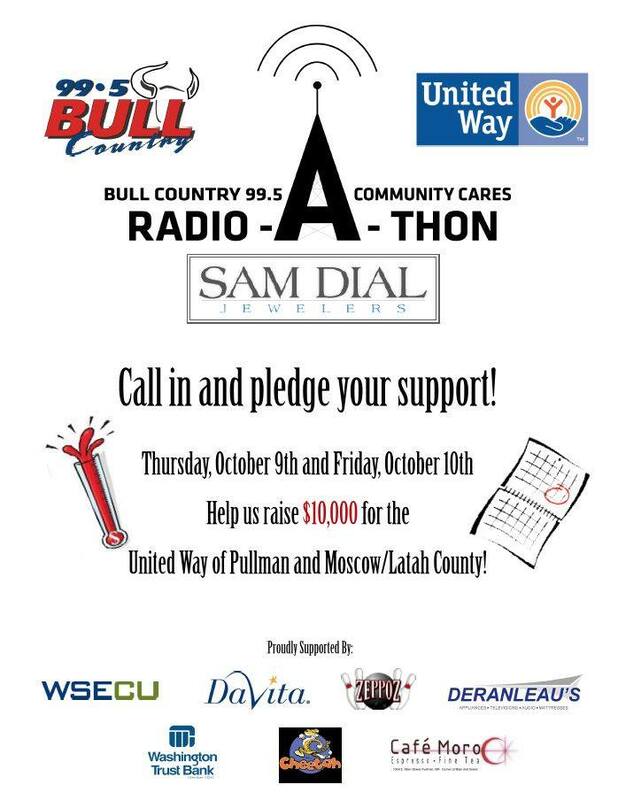 Inland Northwest Broadcasting’s KZZL-FM Moscow, Idaho, raised $13,595 for the United Way in the 3rd annual Bull Country Community Cares Radio-A-Thon, held Oct. 9-10. Volunteers from 34 local nonprofit organizations pitched in during the 30-hour event, helping KZZL-FM exceed the station’s $10,000 goal. CBS Radio’s WAOK-AM/FM and WVEE-FM Atlanta raised over $73,000 for Children’s Healthcare Atlanta during its Nov. 6 Radiothon. This includes a $10,000 donation from filmmaker and comedian Tyler Perry. The funds will purchase critical supplies for the clinic, which is one of the country’s largest pediatric care centers. 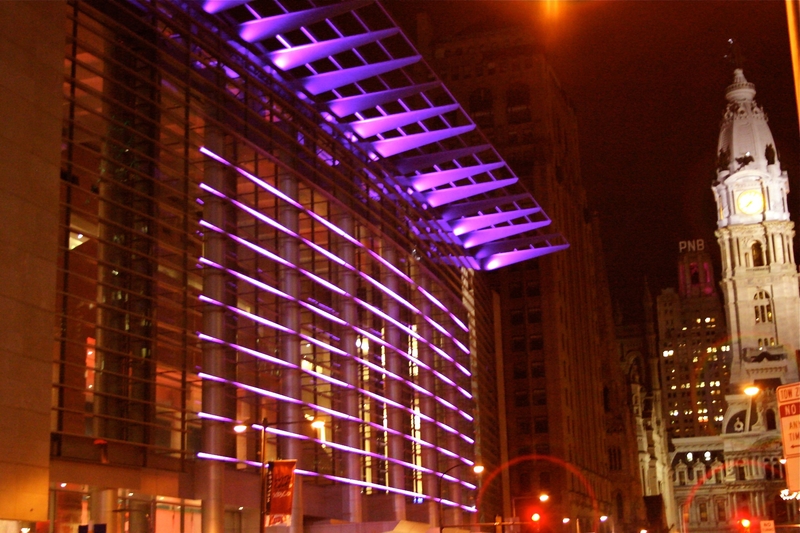 CBS owned-and-operated KYW-TV Philadelphia helped turn the city skyline pink in October for the 13th year, as part of its Lights for the Cure campaign during National Breast Cancer Awareness Month. Beyond the pink skyline, KYW-TV and CBS’s CW affiliate WPSG aired segments to generate awareness of breast cancer, including the importance of mammograms. "Our stations have a powerful voice in this region and we are honored to use it to inform our viewers about such a critical issue," said KYW-TV President and General Manager Jon Hitchcock. Hubbard Radio’s WKRQ-FM raised $45,000 during the 2014 Bosom Ball, held Oct. 16. Proceeds from the Ball benefitted Susan G. Komen and American Cancer Society. Musical artists Mary Lambert and O.A.R. performed at the event. WKRQ-FM lists upcoming public service events here. 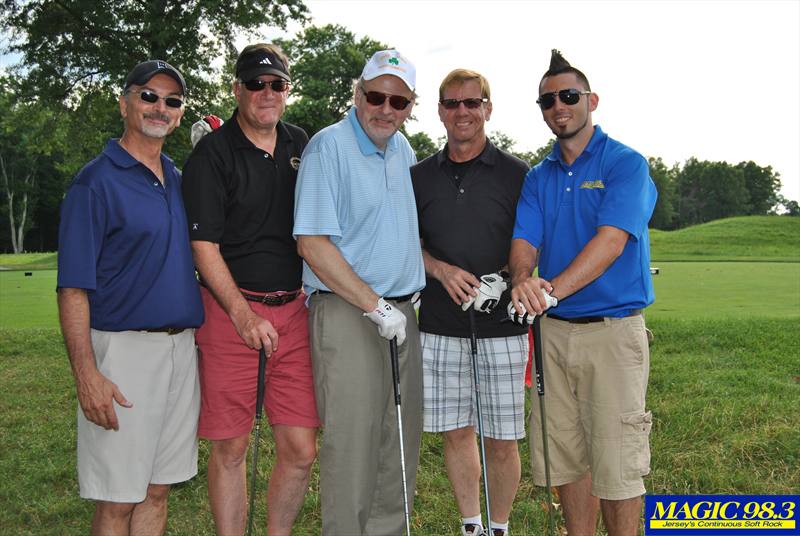 Greater Media’s WMGQ-FM and WCTC-AM New Brunswick, N.J., hosted their second annual Charity Golf Tournament in July at Royce Brook Golf Club-West. Proceeds went to Saint Peter’s University Hospital’s campaign to renovate and expand its emergency department. The event raised more than $3,000 through the raffle and $150,000 in sponsorships for the hospital. 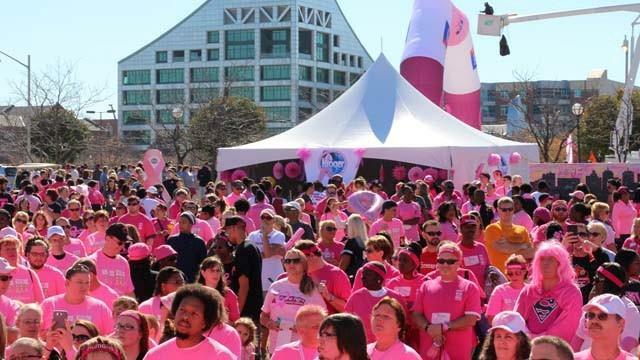 Raycom Media’s CBS affiliate WOIO-TV and MyNetworkTV affiliate WUAB-TV Cleveland partnered with Susan G. Komen to provide in-depth coverage of the event. This included on-air promos, web pages, and a social media campaign. The race raised over $250,000, of which 75 percent will help provide free education, screening, treatment and survivor support services for those who need it the most. The remaining 25 percent will fund global research to help find cures. The Susan G. Komen foundation nominated WOIO-TV for the Medical Mutual Pillar Award for Community Service in recognition of their efforts. The Pillar Award honors businesses that make exceptional contributions to their community, showcasing the ties and room for collaboration between for-profit and nonprofit worlds. Raycom Media’s NBC affiliate KHNL-TV and CBS affiliate KGMB-TV Honolulu sponsored the Walk to Cure Arthritis this summer. Both stations produced and aired several PSAs about the walk and encouraged viewers to register or make a donation. The stations’ meteorologist Jennifer Robbins emceed the event, and the walk was featured in live reports on both stations’ morning newscasts. In total, KHNL-TV and KGMB-TV helped raise over $212,000 to help find a cure for arthritis. A New Jersey woman, Sue Muller, recently credited a CBS Radio public service announcement (PSA) with saving her life after she suffered a brain aneurysm. Sue’s husband, Jeff, had heard a PSA about the symptoms of a brain aneurysm on his commute to work. Not long after, his wife had a severe headache and neck stiffness. Jeff remembered the PSA and encouraged Sue to go to the hospital. A CT scan soon revealed that she indeed had a ruptured aneurysm. CBS Television Network’s "CBS Cares" campaign and National Stroke Association partnered to raise awareness of the risk factors commonly associated with strokes and to highlight the groups that are most susceptible to strokes overall. Together they created three PSAs, which were broadcast on CBS Radio’s 126 major market stations. The campaign ran throughout May in support of National Stroke Awareness Month, and encouraged the public to fill out a Stroke Risk Scorecard and talk with their healthcare professional. To hear the radio PSAs and to learn more, click here. NRG Media-owned KOIL-AM Omaha’s Talk Host Tom Becka took the "plunge" in mid-April as part of a fundraiser for Landon Shaw, a Missouri boy with cancer who has inspired several fundraising challenges. In addition to Becka, NRG Radio Hosts Crash Davis (KOOO-FM), Jenny Olive (KQKQ-FM) and local politicians also took the dive into 50 degree water to fight cancer. Mid-West Family Stations’ WWQM-FM Madison, Wis., hosted the "Q106 Storytellers Jam 15" to raise money for the local American Family Children’s Hospital. The concert, which featured The Cadillac Three, Chuck Wicks, Chase Rice and "mystery artist" Gary Allan, raised more than $15,000 for the hospital. Manship Stations-owned ABC affiliate WBRZ-TV Baton Rouge, La., is holding the 17th annual Fill-a-Prescription for the Needy campaign from March 5 – April 5 to raise money to purchase the prescription medication for Baton Rouge’s St. Vincent de Paul Community Pharmacy. WBRZ-TV has set up 250 bins in 214 locations across the region to collect donations. Additionally, the stations will co-host three benefit lunches to raise funds. Last year, the campaign filled more than 38,000 prescription bottles for a total value of more than $3.3 million. Howard University’s WHUR-FM Washington broadcast live from the Anthony Bowen YMCA to raise awareness during American Heart Month. The four-hour health fair was held in partnership with the American Heart Association and provided listeners with heart-healthy tips, nutritional facts and fun exercise demonstrations featuring several on-air hosts. Video from the event is available here. Univision’s WXTV-TV Teaneck, N.J., and the American Cancer Society united on Valentine’s Day for the seventh year in a row to encourage women to show some love to the most important person in their life – themselves. Under the campaign "Amate a Ti Misma" (Love Yourself), hundreds of uninsured women over the age of 40 were welcomed to a free breast cancer screening and mammogram at New York’s Presbyterian Medical Center and New Jersey’s Saint Michael’s Medical Center. News anchors encouraged and supported the women during the special day of self-love and breast cancer prevention awareness. Univision KUVN-TV Dallas and Univision Radio Dallas/Fort Worth partnered with Carter BloodCare to educate and encourage people to become blood donors. The stations used PSAs, news stories and social media to drive participation during a three-day blood drive in Mesquite, Tex. Univision staff participated as donors and more than 200 individuals were screened with 155 donating blood. The blood drive helped to save 465 lives, according to the Red Cross. NBC-owned WRC-TV Washington hosted the 22nd annual NBC4 Health and Fitness Expo in early January. The largest attended consumer wellness exposition in the country brought more than 85,000 attendees to the Washington Convention Center to learn new ways to get in shape, eat healthy and maintain an active lifestyle. WRC-TV staff were on hand to promote the event and participate in demonstrations. Univision Radio Fresno, in partnership with Walgreens, hosted a day of health and fitness for area listeners. At the event, Univision distributed free flu shots and encouraged attendees to stay healthy by exercising in many fun ways like taking a walk or ice-skating at the local mall. 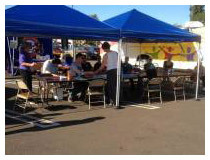 In total, 250 flu vaccines were administered during the event at no cost to participants. Gannett Broadcasting’s CBS affiliate WUSA-TV Washington, D.C., partnered with FORCE (Facing Our Risk of Cancer Empowered) for its 20th "Buddy Check 9" breast cancer awareness program. WUSA-TV aired stories about local men and women who are at risk for the cancer and hosted an advanced film screening of Decoding Annie Parker, a true story about a woman who battled breast cancer, and her doctor, whose research lead to the discovery of the BRCA1 breast cancer gene. The sold-out screening netted $60,000 for FORCE. California Oregon Broadcaster’s NBC affiliate KOBI-TV Medford, Ore., aired a special on October 23 called "Night of Healing: Life after Breast Cancer." Throughout KOBI-TV’s 6 p.m. newscast, a panel of caregivers, specializing in various aspects of breast cancer related to mind and body, took viewers’ calls and answered questions for one hour. < CBS-owned KYW-TV Philadelphia partnered with the local Susan G. Komen chapter to host "Lights for a Cure," turning the Philadelphia skyline pink to raise awareness to National Breast Cancer Awareness Month in October. On the first of the month, nearly 100 buildings and landmarks went pink and remained lit each night throughout the month. KYW-TV also encouraged women to schedule a mammogram during hundreds of newscasts. This is the 12th consecutive year KYW-TV has sponsored the event. Beasley Broadcasting Group’s WXTU-FM participated in the Philadelphia 3-Day, an event that raised money and awareness for breast cancer. The station’s “XTra Mile” team completed the 60-mile route and raised nearly $800,000. In addition to the walking team, the WXTU-FM’s "XTU Crew" provided encouragement and lunches at various cheering stations. Sinclair Broadcasting’s CBS affiliate KVAL-TV Eugene, Ore., served as the media sponsor for the American Cancer Society’s (ACS) Relay for Life of Eugene, Springfield and the surrounding Oregon counties. KVAL-TV donated more than $47,000 in airtime to ACS’s PSAs. Additionally, the station aired numerous stories and programming packages about the Relay. On race day more than 30 employees and their families participated in the walk which raised more than $695,000 for ACS. Entercom Communications’ WEEI-FM Boston partnered with the Boston Red Sox to host the 12th annual Jimmy Fund Radio-Telethon to support the Dana-Faber Cancer Institute. The two-day event raised more than $3.3 million for adult and pediatric cancer care and research. Broadcasting live from Fenway Park, the fundraiser featured interviews with Dana-Faber patients, the doctors and nurses who have treated them and guest appearances from local celebrities and athletes. Since 2002, WEEI-FM has helped raise more than $34 million for the Dana-Faber Cancer Institute. Univision Communications, Inc. and TeletónUSA Foundation wrapped their seven-city "Tour of Giving" in San Antonio, joined by Texas Governor Rick Perry and Mayor Julian Castro, with the laying of a cornerstone at a $17 million new children’s rehabilitation center. The "Tour of Giving" continued as $15.2 million in donor gifts were put into action to develop and renovate some of the most modern and necessary medical programs and facilities in the nation. The "Tour" aimed to shed light on the importance of medical programs and facilities that will provide a better future for U.S. children with disabilities, cancer and autism. Other stops on the "Tour of Giving" included Miami, New York, Chicago, Los Angeles, Memphis and Boston. Click here to read more. Independently-owned WLEN-FM Adrian, Mich., held its 14th annual American Cancer Society Relay for Life Celebrity Pie Auction. Station personnel, area businesses and local celebrities donated 132 pies to be auctioned off at the event. From 6 a.m. to 5 p.m. WLEN-FM auctioned pies off on-air each hour. The event raised $3,950, nearly $1,000 more than in 2012. All the proceeds were donated to the Lenawee County ACS Relay for Life, which was held on August 10th and 11th. To date, over $30,000 has been raised by WLEN-FM for Relay through the Celebrity Pie Auction. The ABC Network broadcast the Muscular Dystrophy Association’s 48th annual "Show of Strength Telethon" on September 1 and raised more than $59.6 million in pledges. All contributions will support the treatment of muscular dystrophy and related diseases, and provide funding for research to find a cure. The two-hour event featured stories of those who are battling muscular dystrophy and appearances by numerous celebrities and entertainers including Ryan Seacrest, Florence Henderson, the Backstreet Boys and Paula Abdul. Bonten Media’s WCTI-TV New Bern, N.C., held the 36th annual "NewsChannel 12 Cystic Fibrosis Telethon." The one-day event, which featured 21 local acts, raised more than $421,000 to support the research of the Cystic Fibrosis Foundation. Over the years, WCTI-TV has raised more than $8.57 million for the foundation, helping to improve the lives of CF patients. Clear Channel-owned WRVW-FM Nashville hosted the "Star Party," a concert featuring Ed Sheeran, that benefited Musicians on Call (MOC), an organization that brings live and recorded music to the bedsides of patients in medical centers. The event raised $22,500 for the local MOC chapter, enough money to fund one bedside performance program for a full year. ESPN Radio hosted the 9th annual "Don’t Give Up ESPYS V Foundation Auction," which raises money and awareness for The V Foundation for Cancer Research. The on-air and online auction included autographed apparel, footballs, baseballs, basketballs and other sporting "experiences," such as a tour of an ESPN radio station with a radio personality. This year the auction raised more than $781,000. ESPN Radio has raised more than $6.5 million to fund cancer research since the first event. Emmis Communications’ KSHE-FM St. Louis hosted the 30th annual two-day Summer Blood Drive in support of the American Red Cross. This year KSHE-FM collected 2,988 units of blood, surpassing the station’s goal by 14 percent. Since its first drive in 1984, KSHE-FM listeners have donated more than 135,000 units of blood, which could potentially save as many as 405,000 lives. 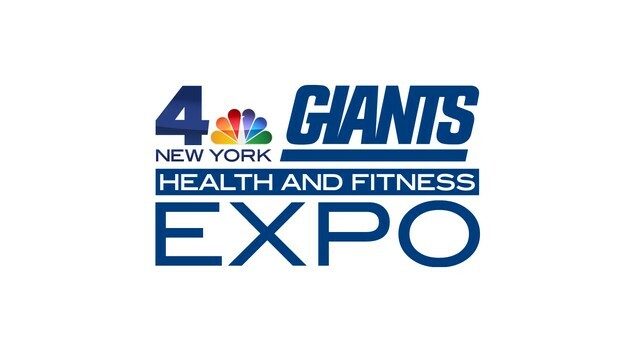 The New York Giants and NBC’s WNBC-TV New York hosted a Health & Fitness Expo at MetLife Stadium, with information on nutrition, dental health and issues specific to men, women and the elderly. Free screenings checked for health issues, including high cholesterol, diabetes, hearing and prostate health. Giants players and WNBC anchors, including sportscaster Bruce Beck, signed autographs. Activities included healthy cooking demos with celebrity chefs, Zumba, yoga, rock climbing and locker room tours. Peg Broadcasting’s WSCV-TV Miami raised $4.5 million for the Liga Contra el Cancer (League Against Cancer), which offers free screenings and cancer treatment to low-income patients. "This annual telethon raises the funds ...[so] the organization can continue to provide the medical services and specialized care that will save so many lives in our community," Jorge Carballo, president-GM, told TVNewsCheck. The telethon was dedicated to the memory of salsa performer Celia Cruz, a major supporter of Liga Contra el Cancer. 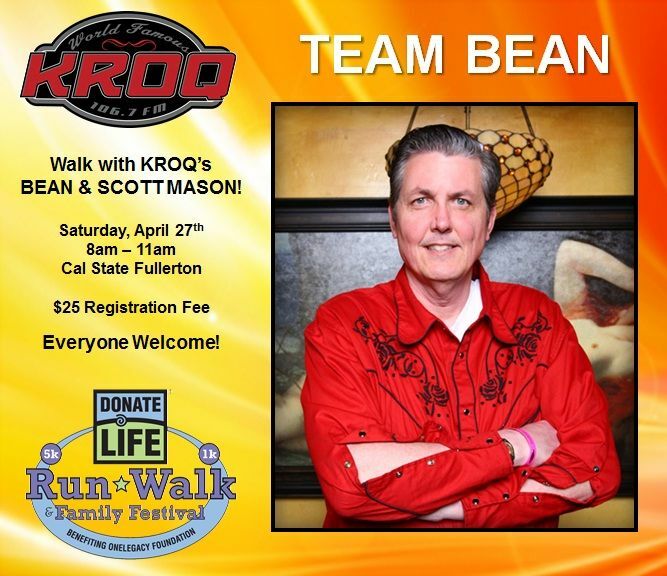 CBS Radio’s KROQ-FM Los Angeles’ Host Gene "Bean" Baxter, station engineer Scott Mason and KROQ listeners participated in the "Donate Life Run/Walk" on April 27th as "Team Bean." Bean donated his kidney to Scott last November after the organ failed. Bean set a team goal to raise $350,000 for the OneLegacy Foundation, which ensures more people receive successful transplants in less time and honors the organ and tissue donors. Cape Cod Broadcasting educated listeners on the environmental ramifications of medicine disposal and teen prescription abuse. Stations promoted the DEA’s Drug Take Back on April 27, during which people could dispose of expired and unused medications. Last September, the free, anonymous service netted 244 tons of drugs at 5,200 sites nationwide. "Our goal is to increase awareness here on the Cape, reduce youth substance abuse, and protect our environment," said Cape Cod Broadcasting’s Kim Lucas. < CBS Television KYW-TV and WPSG-TV Philadelphia "Women of Eyewitness News" promotes breast cancer awareness year-round. The team will broadcast live on Mother’s Day as Meteorologist Katie Fehlinger runs in the 2013 Susan G. Komen Philadelphia Race for the Cure. "Let me get up at the crack of dawn. Let me run for you. Let me channel your support toward one amazing purpose - saving lives," Fehlinger said. Clear Channel’s WKSF-FM Ashville, N.C., raised more than $28,000 for the local Mission Children’s Hospital during its fifth annual Winter Jam concert. "Time and again, this community demonstrates its commitment to our region’s children," said Bruce Thorsen, president of Mission Foundation. "We commend KISS Country [WKSF-FM] for their dedication to serve our community and our region." Beasley Broadcasting Group’s WXKB-FM Estero, Fla., has partnered with American Cancer Society to promote the Relay for Life Fort Myers Beach and raise money for the Society. WXKB-FM is holding an online auction, and all proceeds will go to the local American Cancer Society. WXKB-FM is also urging listeners to form a Relay for Life Team to fundraise for the Society. The Relay will take place on April 13. CBS Radio-owned WWMX-FM Baltimore’s new morning show featuring Maria Dennis, Reagan Warfield and Jon Boesche raised $871,630 during the station’s annual radiothon to benefit the young patients and their families at Hopkins Children’s hospital. The 2013 total was $4,000 more than last year. WWMX-FM has hosted the annual radiothon for over two decades. During those years, the station has raised more than $15 million for Hopkins Children’s Hospital. Lotus Communications Corp.’s KOZZ-FM, KUUB-FM and KDOT-FM Reno, Nev., raised $50,000 during the company’s 14th annual radiothon to support St. Jude Children’s Research Hospital. For more than a decade, the stations have helped raise more than a million dollars to benefit St. Jude. Lotus Radio Corp. General Manager Dane Wilt said, "Northern Nevada and nearly every community in the world benefits from money raised for St. Jude. The research conducted at their facility is shared with hospitals around the globe. Hubbard Broadcasting-owned WIL-FM St. Louis hosts Cornbread and Derrick Keith raised more than $39,000 for the St. Balrick’s Foundation, which supports children’s cancer research. The two on-air personalities made a bet to see who could raise the most money for the foundation. Ultimately Cornbread won, but agreed to shave his head. Several others in attendance also shaved their heads. CBS-owned KYW-TV and WPSG-TV Philadelphia held a 14-hour on-air phone bank and raised more than $1 million for Ronald McDonald House Charities of the Philadelphia Region. The stations aired fundraising segments on March 27 during newcasts and commercial breaks. KYW-TV and WPSG-TV also held three, one-hour specials throughout the day, featuring both stations’ on-air talent and appearances by local CBS Radio hosts. National Communications-owned Fox affiliate KVHP-TV and the local CW Lake Charles, La., hosted a Pink Celebration Breast Cancer Awareness Breakfast benefitting the Ethel Precht Hope Breast Cancer Organization. KVHP-TV and the Lake Charles CW raised nearly $2,500 for the foundation. KVHP-TV’s "On the Air" host Heather Leyoub was the featured emcee of the morning. The breakfast featured breast cancer survivor testimonials as well as two keynote speakers. Lake Charles Mayor Randy Roach awarded Ethel and KVHP-TV with a Certificate of Proclamation affirming October 8 as Breast Cancer Awareness Day. Shurz Communications’ WKHY-FM Mishawaka, Ind., will hold the annual "Grab Life by the Ball Dodgeball Tournament" later this month. Each year 64 teams compete in the competition which supports the American Cancer Society’s fight to end testicular cancer. The tournament annually raises $4,000 for the ACS. Click here to watch highlights of last year’s competition. Blue Ridge Broadcasting-owned WMIT-FM Black Mountain, N.C., held a day-long radiothon to raise funds for Christian Blind Mission (CBM) to fight trachoma, an eye disease affecting the vision of 40 million people across the world. From 6 a.m. - 6:30 p.m., WMIT-FM, locally known as 106.9 The Light, dedicated airtime to raise awareness of trachoma and encourage listeners to donate funds for medical supplies that would be donated to families in Africa. "This is an amazing opportunity. With a small investment, people can have a profound impact on the lives of those affected by this blinding disease," said Jim Kirkland, executive director of 106.9 The Light. Thanks to listeners’ generous support, WMIT-FM collected enough funds to supply more than 35,000 African families with the medicine they need to prevent blindness caused by trachoma. Clear Channel’s Fresno, California soft rock station KSOF 98.9-FM and country station KHGE 102.9-FM are collecting celebrity autographed bras for an auction they will hold on October 21. The station has already collected autographed bras from Maroon 5, Bret Michaels, and Michael Buble and more. The auction will benefit the Susan G Komen Foundation, an organization which supports education and research related to breast cancer. Newport Television’s Wichita Stations Host Bike-A-Thon Newport Television’s KSAS-TV and KMTW-TV Wichita teamed up with the American Diabetes Association for the Tour-De-Cure Bike-a-thon. The tour includes a series of fundraising cycling events held in 44 states nationwide to benefit the ADA. More than 300 riders participated in the Wichita event, raising over $100,000 in pledges, accounting for a 40 percent increase over last year’s totals. All donations help to prevent and cure diabetes and improve the lives of all people affected by the disease. Infinity Broadcasting’s WXRK-FM 92.3 NOW teamed up with Riccardo Maggiore Salon to raise money and awareness for breast cancer during the 11 day San Gennaro Feast in Manhattan’s Little Italy. At the 92-3 NOW booth, salon artists apply pink feather hair extensions for a $5 donation. Proceeds go the Libby Ross Foundation, which offers unique support and wellness programs for women affected by breast cancer. ABC, CBS, Fox and NBC and some cable channels will air a live, commercial-free telethon on September 7th for Stand Up to Cancer (SU2C). One hundred percent of the $180 million pledged in previous telethons benefits cancer research. Gwyneth Paltrow will replace Laura Ziskin as executive producer. Ziskin, who produced the first three "Spider-Man" movies, lost a seven-year battle with breast cancer in 2011. "This broadcast has become a global call-to-action for all those touched by cancer," Paltrow said. "Like so many people, I know what it’s like to lose a family member to this disease, and I’m honored to stand up in my father’s memory." Newport Television’s KGPE-TV Fresno, Calif., partnered with Walgreens to provide 1,120 free flu shots worth almost $45,000 to viewers. "It was a record day," said Robert Guillen, Walgreens district manager in Fresno. KGPE promoted the drive, covered it live and sent personalities to greet viewers. Guillen and Walgreens staff complimented the television staff’s organization, dedication and results. Prostate cancer is the second leading cause of cancer deaths among men in South Carolina, a statistic that prompted WIS-TV in Columbia, S.C., to partner with the National Prostate Coalition and Doctors Care to bring a two-day mobile screening unit to the area. During the event, 807 men received free Prostate Specific Antigen tests, setting a record, according to the National Prostate Coalition. WIS promoted the screenings with live interviews of its partners, as well as news coverage and public service announcements, which began airing two weeks beforehand. The station donated more than $20,000 in airtime to promotion of the event alone. "Through our partnership, men in the local community became better informed regarding annual prostate cancer screenings and the importance of taking ownership of one’s health," said Katie Gorscak from the National Prostate Coalition. Allbritton Communications-owned WSET-TV partnered with Lynchburg’s Minor League Baseball team, the Hillcats, for the Swing For A Cure fundraiser at City Stadium. The event benefited the Susan G. Komen for the Cure Foundation to help raise awareness and funds in the fight against breast cancer. The stadium was packed with fans wearing pink, while the field had Hillcats players in pink jerseys and useing pink Louisville Slugger bats. WSET-TV has participated for the last several years in coverage of the annual event. The station provided extensive promotion and aired stories about the event before and after the game. Through ticket sales, sponsor donations and a silent auction, WSET-TV raised $7,455. 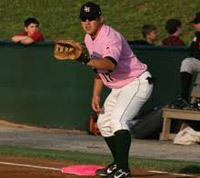 Donations increased significantly from 2011 when the Hillcats collected over $4,800. When a heat wave hit in the summer of 2007, threatening the health of the young and the elderly, WBMA-LP , WJSU-TV and WCFT-TV in Birmingham, Ala., broadcast safety information on how to avoid heatstroke and started an air conditioner campaign to help those who couldn’t afford one. Viewers were encouraged to donate window units or monetary contributions for the purchase of new units. Nearly $20,000 worth of airtime was donated in public service announcements and on-air support of the drive. In total, 235 families in 31 ZIP codes across central Alabama received air conditioners, providing them protection throughout the several weeks of triple digit temperatures when the combination of humidity and sun sent the daily heat index soaring. Each year, KTVF-TV in Fairbanks, Alaska, goes "all red," from their anchors’ clothing to the graphics during newscasts, in support of the American Heart Association. The station’s participation in the "Go Red for Women" campaign, an annual effort to raise awareness of heart disease and its impact on women’s health, begins in November and continues through February, which is National Heart Month. In addition to news stories about cardiac health, the station donates $5,000 worth of promotional spots to "Go Red" seminars and events, including a fundraiser luncheon that sold out in 2008. Off-air support includes videotaping the seminars and providing audio and visual technology for the luncheon. In addition to the "Go Red" campaign, KTVF airs announcements for the annual Heart Walk, which has grown dramatically during the 10 years the station has promoted it. Viewers were able to check up on the health of their eyes, ears, hearts and more at the NBC 30 Health and Wellness Festival, organized by WVIT-TV in Hartford, Conn. The two-day event drew a crowd of 22,000. Mammograms and blood pressure readings were among the 110 free health screening services provided at no charge. More than 1,500 people received the flu shot, nearly 900 were screened for early kidney disease and 44 people registered to be organ donors. The station aired more than 900 promotional announcements and began airing news stories two weeks prior to the event. Gov. M. Jodi Rell attended the ribbon-cutting ceremony at the start of the festival. Throughout the weekend, the station aired live from the event more than 20 times, reminding viewers to come to the festival. Station staff greeted visitors and helped direct them to the many areas of the exhibition. A live streaming camera shot from the event was featured on the station’s Web site. Viewers left the event with more knowledge about their health, as well as information on how to become active in maintaining or improving it. WMAZ-TV Reminds Viewers "It Starts with the Heart"
"It Starts With the Heart" is a program WMAZ-TV in Macon, Ga., created six years ago to motivate viewers to adopt a healthier lifestyle. While high-fat diets and physical inactivity are threats to all Americans, these issues are of special concern to Georgians, who are often cited as being in the top third of the U.S. population for obesity. The campaign focuses on real challenges of people trying to make meaningful health changes. Thirteen community members are selected each year, and the station documents their personal journey to improved well-being. The group receives an intensive six-week dietary and exercise program from local health experts, and their progress and struggles are then broadcast during the next six months. The goal of the programming is to inspire viewers to take action to improve their own health. And 2000 people have by signing up for the station’s e-team, which provides weekly health tips and recipes. In 2007, the station raised additional awareness by hosting two days of special events centered on health education. The activities began with the inaugural "It Starts With the Heart" community walk and ended with a community health fair that provided vital screenings. For the staff of KWXX-FM, KPUA-AM and KNWB-FM in Hilo, Hawaii, supporting the American Heart Association is truly a matter from the heart. When the founder of the broadcast group passed away from a heart attack a few years ago, his son, General Manager Chris Leonard, made a commitment to help others. He wanted to do more than encourage the stations’ listeners to become involved; he wanted the station to actively participate. All three stations became annual media sponsors of the American Heart Association’s Hilo Heart Walk. Hundreds of promotional spots and live mentions are used to encourage residents to form teams each year. Combined, the stations donate at least $10,000 worth of airtime. Experts in heart disease appear on the stations’ public affairs shows, and the stations’ Web sites provide information to listeners on how to get involved. In 2008, morning show personality D.C. from KNWB hosted the walk, which raised more than $140,000. Leonard, who has been the top individual fundraiser for the walk for the past two years, spoke at the American Heart Association’s Community Leader Luncheon about how heart disease has touched his life on a personal and professional level. "My hope is that someone else doesn’t go through what I’ve gone through," said Leonard. "If we only reach a handful of people, it is worth it. But I think we are reaching far more than that." In a single day, four hundred men received a potentially lifesaving cancer screening test brought to the area by a partnership between KLEW-TV in Lewiston, Idaho,and the National Prostate Cancer Coalition. The coalition has mobile units that travel to underserved areas to provide men with free screenings. KLEW let its viewers know about the opportunity with a public service announcement campaign. The station also purchased newspaper and radio ads, which ran for two weeks prior to the event. After its Lewiston stop, the testing unit went on to screen men in the state of Washington, where KEPR-TV and KIMA-TV provided media support. "Through this partnership, men in the local community became better informed regarding annual prostate cancer screenings and the importance of taking ownership of one’s health," said Katie Gorscak from the National Prostate Cancer Coalition. "It’s because of media partners like these that we’re able to stretch our dollars, screen more men and save more lives." To date, the coalition’s mobile testing units have screened more than 65,000 men. Most women don’t know that heart disease is the number one killer of women in this country, which is why WANE-TV in Fort Wayne, Ind., teamed with the American Heart Association for a second year to raise awareness and help women get heart healthy. The “Go Red for Women” campaign focuses on education about heart disease risk and prevention. In 2008, the station ran two weeks of promotions about upcoming “Go Red” programming. Their “Straight to the Heart” news segments included information on heart attack symptoms and an interview with a local woman who survived a heart attack at age 36. Taking the programming a step further, the station brainstormed ways to make the campaign interactive. Enlisting the services of a local cardiologist and an emergency medicine physician, the station hosted two hour-long Web chats, which allowed their viewers to ask questions through the station Web site. Transcripts of the Web chats, videos, health stories and links to the American Heart Association remain posted in a special section of the site. The station estimates the “Go Red” message reached 427,000 women ages 35 and older in their viewing area this year. “Raising awareness is the first powerful step to saving women’s lives. WANE’s commitment to make women aware of their risk and take action is no doubt saving lives,” said Kevin Harker, executive vice president of the Midwest affiliate of the American Heart Association. A year-long effort to educate and empower women about breast cancer and the importance of early detection by WRAL-TV in Raleigh, N.C., kicked off at the Triangle Susan G. Komen Race for the Cure. The station’s on-air commitment to the event contributed to an unprecedented 20 percent increase in race participation and 10 percent increase in fundraising. WRAL produced public service announcements and invited viewers to join its "Team WRAL," a group of 360 station employees and viewers who raised more than $36,000 for the fight against breast cancer. As the network-affiliate partner for Susan G. Komen for the Cure in North Carolina, the station also provides support for Pinkfest and Breast Cancer Awareness Month. News stories, "webisodes" and public service announcements all help educate women about breast health. The station’s Web site houses a special "Breast Health and Wellness" section, which features resource links, an interactive breast self-exam, and on-demand videos of survivors and leading medical experts. Viewers also can register for "Remind 5 Friends," which provides monthly electronic reminders to conduct a breast self-exam. The in-kind dollar value of the station’s support in airtime and production throughout the year totals more than $250,000; WRAL’s effort have helped the local Susan G. Komen for the Cure affiliate be able to provide grants worth more than $1.3 million to area nonprofits. "On-air and off the air, the WRAL staff have embraced our vision of a world without breast cancer, and the impact has been tremendous," said Pam Blondin, executive director of Susan G. Komen for the Cure, North Carolina Triangle Affiliate. A new pink specialty license plate for breast cancer awareness will soon be seen around town, thanks in part to the support of WPXT-TV and WPME-TV in Portland, Maine. The Maine Cancer Foundation needed 2,000 people to commit to purchasing a special breast cancer awareness license plate and turned to the stations for help. WPXT Creative Director John Marshall produced a "Pink Like a Little Hope" public service announcement (PSA). It was run at least seven times each day and was updated regularly to keep viewers aware of how many more purchasers were needed. In addition, Marshall worked to disseminate a general version of the PSA to other stations in the state. Within three weeks, the goal became a reality. "WPXT’s willingness to jump into this project and turn its creativity loose helped us accomplish our goal," said Maine state Rep. Meredith Strang Burgess. "They went way above the call of duty." The announcement was awarded a Maine Association of Broadcasters Creative Award for best television PSA in 2007. The station also created a four-minute video featuring a fly fishing camp where cancer patients are invited to spend a week for the Maine Cancer Foundation’s annual luncheon fundraiser. The station donated nearly $15,000 worth in airtime and production between the two projects. It’s a night when people who have been touched by cancer celebrate life, and WBRK-AM/FM in Pittsfield, Mass., was there broadcasting live. For three years, the station has been media sponsor for the local Relay for Life in Burbank Park on Onota Lake. In 2007, the event raised $265,000 for the American Cancer Society. With WBRK’s help, Relay for Life has become Berkshire County’s largest fundraising event. "Through the station, we can reach out to a lot of people and help the relay grow," said station Vice President and Promotions Director Cheryl Tripp-Cleveland, who also has served as the co-chair of the race for three years. "It is truly an awesome event." In addition to broadcasting live through the night of the event, the station donated tens of thousands of dollars worth of primetime promotional announcement spots from January to June. Cancer survivors and team participants were interviewed on talk shows, and throughout the year Relay for Life fundraisers were publicized on the station Web site. Early in the morning of August 27, WMRC-AM in Milford, Mass., set out to raise awareness and money for a new state-of-the-art cancer center that was coming to town. By the end of the day, the station had accomplished both goals. WMRC’s 10-hour "First Class Radiothon" gave listeners details about the new $25 million facility, which will make it possible for those undergoing chemotherapy and radiation to receive treatment closer to home. The broadcast was filled with prerecorded and live interviews from local physicians, oncologists, cancer survivors, hospital administrators, patient care providers and local community leaders. Requests for monetary pledges came from area celebrities, politicians and families of cancer survivors. The station auctioned a number of donated items during the radiothon and offered prizes each half hour for listeners making pledges. At the close of the broadcast, nearly $35,000 had been raised. "The phones lit up from the moment we went on the air, and they simply never stopped," said Tom McAuliffe II, president of WMRC. 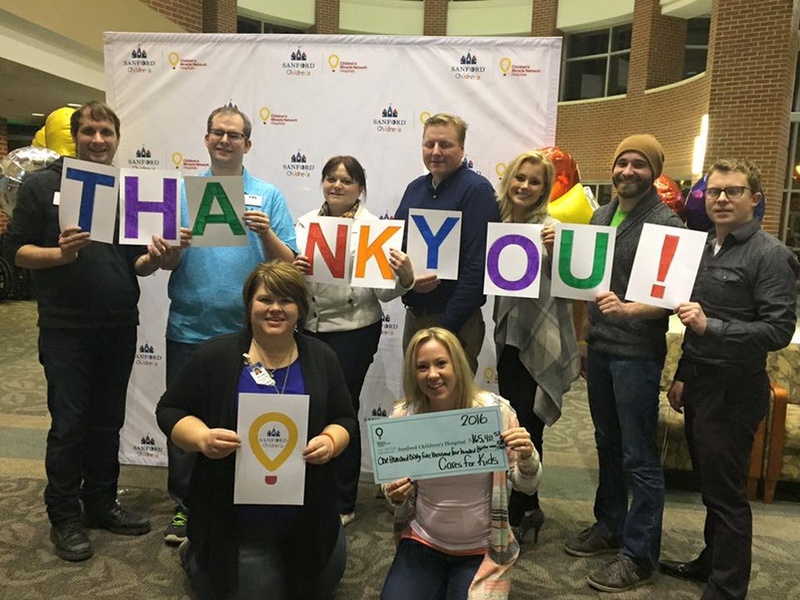 "When the sun set on our first-ever ‘First Class Radiothon,’ we found ourselves absolutely exhausted, yet exhilarated over the fact that we had accomplished everything that we had set out to do." Sports radio fans and supporters joined WDFN-AM in Detroit, Mich., and its afternoon drive team, Mike Stone and Bob "Wojo" Wojnowski, to go the extra mile in a 28-hour radio marathon that brought in $130,000 for The Leukemia and Lymphoma Society of Michigan. The annual "Stoney and Wojo Radiothon" began 10 years ago when WDFN update reporter Sabrina Black was diagnosed with lymphoma and has taken on added meaning since she passed away in 2006. The 2007 radiothon included 21 live interviews with local and national celebrities, politicians and athletes; regular on-air plugs to donate; and auctions for sports memorabilia, electronics and trips. Leading up to the radiothon, WDFN aired more than 750 minutes of promotional spots and an additional 150 minutes of public service announcements during a four-month period. The station also used its Web site to link to The Leukemia and Lymphoma Society, promote the event, offer a limited-edition WDFN t-shirt (all proceeds went to the charity) and provide the opportunity to secure a spot in the prestigious WDFN Leukemia and Lymphoma Golf Outing. WDFN was a National Association of Broadcasters’ Crystal Award Finalist in 2008. When KTTC-TV in Rochester, Minn. left the air after the 53rd Annual KTTC Eagles Cancer Telethon, over $708,000 had been raised for cancer research in the area. The longest running, locally produced telethon in the nation, the event benefits the Mayo Clinic, Hormel Institute and the University of Minnesota. Preparation by the station starts five months ahead with production of on-air promotions and news packages. The night of the telethon, dedicated KTTC staff and anchors produce and emcee the 20-hour event, where hundreds of local performers take the stage to help find a cure. In total, the station donates airtime and work hours valued at more than $47,000 each year. A friendly competition between the weatherman and morning anchor from WXVT-TV in Greenville, Miss., brings in lifesaving donations for the Mississippi Blood Center. Now in its second year, the "12 Days of Giving" blood drive encourages viewers to help their favorite on-air personality win by donating blood at the location that person is stationed. For 12 days, the weatherman and anchor make daily blood drive appearances. Each summer, a similar concept pits WXVT’s morning host against an on-air personality from WDMS-FM for the "A.M. Host You Like the Most" blood drive. The two on-air personalities are put in "jail" and can only be freed by blood donations on their behalf. They compete to see who can get out of jail first. In 2007, the two efforts generated more than 250 pints of blood. "Without the generous support of WXVT through their talent and their time, countless lives throughout Mississippi would not be saved," said Rayette Serio, operations manager for the Mississippi Blood Services Greenville Division. Breast cancer is the number two killer of women in Nebraska, which is why KETV-TV in Omaha, Neb., partnered with the Susan. G. Komen Foundation to raise money for cancer research and get messages about early detection to its viewers. In its inaugural year as media sponsor for the local Race for the Cure, KETV provided more than $114,000 worth of on-air and online promotion. The 2007 race had record participation and raised $525,000, a 20 percent increase from the year before. Stories about the many ways breast cancer has touched the lives of Nebraska women ran during news casts. Public service announcements featured the station’s anchors and reporters, several of which participated in the race along with other station employees. Live shots from the race were aired on the weekend First News broadcast, and main anchor Julie Cornell served as emcee for the post-race award ceremony. "It has been an amazing opportunity for us to work with KETV," said Lynette Farhart, executive director of the Nebraska affiliate of Susan G. Komen for the Cure. "They helped us reach so many more people for both our fundraising and our education efforts on early detection." 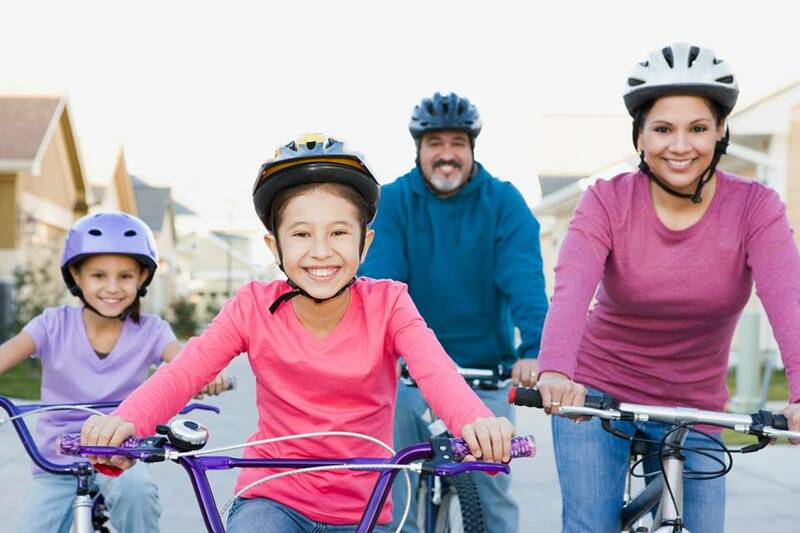 To combat the obesity epidemic, NHP-TV in Durham, N.H., created LiveFIT NH, a project aimed at engaging the community in healthy eating and physical activity habits. The two-year initiative involves broadcast segments, outreach activities and online resources for individuals, families and schools. The LiveFIT multi-part series airs on the station’s public affairs show and has tackled many topics, including brown bag lunches, physical activity in schools and how to read food labels. The community has been invited to do the "LiveFIT challenge," which involves six actions to improve health. The station broadcasts regular "Fit Tips," public service announcements aimed at helping those trying to adopt a healthier lifestyle. A broad range of information and resources has been posted on the station Web site. In 2007, more than 30 LiveFIT community events were held across the state. The station gave away beach balls, jump ropes and pedometers to the more than 3,500 people who attended to help motivate them to get fit. "I eat fruits for snacks and lots of colors at every meal," said Alexandra K., a girl from Stratham, N.H., whose family is participating in the program. "And I like to play outside and get exercise." The station has been recognized for its efforts with the 2007 Outstanding Achievement Award from the New Hampshire Governor’s Council on Physical Activity and Health. Providing a chance to win a day at the races helped drive 17,000 donors to the KOFM-FM in Enid, Okla., September Blood Drive in support of the Oklahoma Blood Institute. Forty donors received transportation and tickets to the Dickies 500 NASCAR race at the Texas Motor Speedway and first time donors were put into a drawing to win ride-alongs on the track. Throughout the fall of 2007, the station donated more than 360 minutes of promotional announcements, 30 hours of live broadcast from different drive locations, numerous on-air interviews with Oklahoma Blood Institute representatives and 300 staff hours to the effort. In addition to producing their own promotional announcements, the station produced a generic announcement that was distributed to other media to encourage donors. The station Web site offered substantial coverage, including streaming broadcasts and postings of every drive location and time. "KOFM has increased our outreach," said Kenda Morris, regional recruitment manager for the Oklahoma Blood Institute. "Thanks to the awesome NASCAR promotion, KOFM helped the Oklahoma Blood Institute bring in more than 17,000 donors statewide and attract more than 3,700 new donors!" KQMV-FM in Bellevue, Wash., is a year-round supporter of the Susan G. Komen Foundation. Involved in several events to raise breast cancer awareness each year, the station is especially proud of organizing a mobile mammogram service to provide free screenings to underserved women. The mammogram vehicle, which tours for 10 days during Breast Cancer Awareness Month, covers the entire listening area, from Everett to Tacoma. Dates and locations for the mobile mammogram program are broadcast well in advance, and live broadcasts are aired from each of the mobile mammogram stops. Women are asked to visit the station Web site for more information and to make an appointment in advance. Every appointment available is usually booked, and often there is a waiting list. WJXT-TV in Jacksonville, Fla., partnered with the Baker-Gilmour Cardiovascular Institute to help alert its female viewers about the threat of heart disease, which kills more American women than all cancers combined. Since the "Take It to Heart" campaign began in 2003, free screening events have been a cornerstone in the program’s outreach efforts to the community. The 2007 event provided cholesterol and blood glucose testing as well as blood pressure measurements to more than 1,700 people. WJXT aired live coverage throughout the day, and the mayor of Jacksonville proclaimed February 7 as "Take It to Heart Day." News stories and public service announcements support the campaign, as well as billboard messages. Businesses are invited to bring "Take It to Heart" to their employees by distributing risk awareness sheets and other materials developed for the campaign. To date, 20 businesses have participated. The program has been recognized with several awards, including a state award from the American Heart Association and a Wellness Council Award for workplace health. In 2008, the screening event grew to include three local hospitals in three counties within the station’s broadcast area. The new year kicked off a groundbreaking effort to raise money for the local chapter of the Susan G. Komen for the Cure by KSNW-TV in Wichita, Kan. The station’s homegrown idea, "KSN Dream House for the Cure," involves more than 30 companies donating materials and volunteering time to construct a state-of-the-art, environmentally friendly house in The Oakes Golf Course Community, with all proceeds going to help fight breast cancer. The station has supported efforts by the Komen Foundation for years. "When we were talking about creating a new project to raise money and awareness, we wanted to construct an event that people could watch from the ground up," said News Director Todd Spessard. When the nine-month project is complete, the resulting donation could be the largest ever made to the Mid-Kansas Komen Chapter. Proceeds are estimated at a half-million dollars. The donation will be used locally to fund projects such as the "Early Detection Works" program, which provides free mammograms for uninsured and low income women. From the floor to the roof, each week KSNW broadcasts reports on the project’s progress, raising awareness about breast cancer at the same time. 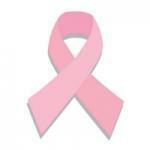 KTNV-TV in Las Vegas, Nev., is helping make "Strides Against Breast Cancer." The station has been a partner in the event since the beginning, when 300 community members gathered for the first local "American Cancer Society Making Strides Against Breast Cancer Walk." Now in its eighth year, more than 6,000 people gather together for the October fundraiser, which generated $350,000 in 2007. All of the money stays in Nevada to help further research, fund early detection programs, and provide support for area patients and their families. KTNV helps formally kick off promotion for the walk each August at a breakfast where a four-minute video produced by the station provides inspiration and hope. From August until race day, the station runs one feature story a week related to breast cancer, including profiles of survivors and updates on the latest medical breakthroughs. Three weeks out from the event, the station begins airing a heavy schedule of race announcements featuring KTNV anchor Tiffany Sargent along with on-air personalities from partner radio station KXPT-FM. On the day of the walk, KTNV brings out its chopper as well as its news crews to get live shots of the race and its participants, dozens of which are KTNV staff. In total, the station donates nearly $150,000 in promotional spots and airtime each year. In answer to the question "Are You Tough Enough to Wear Pink?" the listeners of stations KWGO-FM, KBTO-FM and KTZU-FM in Minot, N.D. had one solid answer, "Heck yes." The campaign, which rallies the rodeo and western industry to raise awareness and funds for breast cancer treatment and research, made its debut in the Minot area in 2007. The stations teamed with the local Y’s Men group and Trinity Hospital for the campaign, raising more than $26,000 for a new cancer exercise rehabilitation center at the Minot Family YMCA. The stations broadcast live from "Pink Party" fundraisers and ran promotional announcements, giving $14,000 worth of airtime to the cause. They also organized a Minot Cares raffle package worth $5,000, wrapped a pickup truck in pink, and helped inspire hundreds of people to support the campaign. All the hard work paid off at the culminating event. "It was an all pink rodeo that Friday," said station co-owner J. Davis. "The arena was a sea of pink." It was a lifesaving event. Free prostate cancer screenings, brought to the community by KTBS-TV in Shreveport, La., in partnership with Regional Urology, helped several men detect the disease early, when it is most treatable. The station set up a mobile screening unit at its KTBS 3 Boat and Sport Show, making it a convenient stop for the tens of thousands of people the event attracts. To help viewers tune into the facts about prostate cancer and the opportunity to be screened, the station produced public service announcements (PSAs) featuring the fire chief, local doctors and other high-profile people in the community. In addition, the station aired a series of news stories spotlighting survivors and a half-hour special about prostate cancer. During the day-and-a-half event, 550 men were screened. "We know that several men were diagnosed with prostate cancer, and some were found just in time, before it spread," said Jan Elkins, who heads up community affairs for KTBS. After the event, the station ran a three-month PSA campaign to continue to raise awareness, potentially saving even more lives. A local walk in honor of Patty McDonald, a child who succumbed to cancer, has doubled the amount of money it raises on an annual basis since WTKU-FM, WJSE-FM and WMGM-TV in Linwood, N.J., came on board as media sponsors two years ago. This year, the 7th annual "Patti McWalk" raised $35,000 for the South Jersey Cancer Fund. Both radio stations played public service announcements for six weeks leading up to the event, and WMGM included screen crawls in their programming. All three stations broadcast live from the walk, and the radio stations provided music on the course. Rep. Frank LoBiondo (R-2nd) was there with his two dogs and went on camera with WMGM. After the walk concluded, an auction at a nearby café began. The stations help raise additional funds by donating a basket of auction items, including autographed CDs and memorabilia. With the help of WVNY-TV in Colchester, Vt., more people will experience the joy of man’s best friend through the services of Therapy Dogs of Vermont. The organization sends people-loving dogs and their handlers to help improve emotional health in a variety of settings, including hospitals, nursing and retirement homes, child and adult day care centers and correctional facilities. WVNY selected the organization as part of "Oprah’s Big Give" campaign, which provided the station with $10,000 to donate to a local charity in hopes of jumpstarting the charity’s fundraising and growth. By the end of the campaign, $38,000 had been raised for the all-volunteer, nonprofit organization. WVNY ran a six-week on-air sponsorship schedule promoting the group and its needs. In addition, the station aired three news stories and gave billboard mentions five times a week on how to "Give Big" to help Therapy Dogs. With the new resources, the organization plans to add additional canine and handler teams, making it possible to fill more requests from facilities requesting therapy dog visits, and to embark on new programs, such as using therapy dogs at library literacy events and to assist with victim advocacy. A strong supporter of Susan G. Komen Race for the Cure since 2001, KTVX-TV in Salt Lake City, Utah, was there with the more than 17,000 people, all touched by breast cancer in some way, who participated in the 2008 spring fundraising race. The event brought $640,000 toward education, screening and research to prevent and treat the disease. The station’s annual support includes public service announcements featuring breast cancer survivors, race day events with on-air personalities, race media coverage and emcees for the race award ceremony, adding up to hundreds of thousands of dollars worth of in-kind donations. In its own effort to raise viewers’ awareness of breast health, the station has broadcast dozens of stories, covering everything from breast cancer screenings to prevention and treatment, on both its nightly news and weekday program "Good Things Utah." KTVX also has produced and broadcast public service announcements during Breast Cancer Awareness Month. It turns out 13 is a lucky number, at least when you are talking about prenatal care. KUTV-TV in Salt Lake City, Utah, together with the Utah Department of Health and Intermountain Healthcare are reminding mothers-to-be to seek regular and early prenatal care through their "Baby Your Baby" program. The public service announcement (PSA) campaign encourages women to go to their doctor before the 13th week of pregnancy and to see their health care provider at least 13 times throughout pregnancy. "Baby Your Baby" started two decades ago as an intensive outreach program encouraging prenatal care; the results were significant. One year after the program launched, pregnancy loss and infant death rates fell; the decreases were the largest in Utah history. Twenty years later, the program continues to provide women with vital information. In addition to PSAs, the station airs news stories and produces special features several times a year. Reporter Cristina Flores, mother of three, is the spokesperson and appears in PSAs and videos for the campaign in both English and Spanish. Extensive resources, including a free baby keepsake book with important health reminders and five newsletters, are available through the "Baby Your Baby" Web site. KUTV also distributes the information at health fairs and community events. To date, the program has served more than 100,000 Utah women, and the hotline has answered more than 300,000 calls. As one of radio’s own battled breast cancer, stations throughout the Upper Valley united with WFRD-FM in Hanover, N.H., for the inaugural "Polly’s Think Pink Radiothon." Pauline "Polly" Loyd, an on-air personality who was diagnosed with breast cancer at age 29, listened from her hospital bed as nearly every radio station in the market joined in a 13-hour simulcast from the Norris Cotton Cancer Center. In just one day, the stations raised more than $41,000 for the fight against breast cancer. On-air personalities from more than 20 radio stations participated in the live broadcast, encouraging listeners to call in pledges to honor Polly and advance cancer research. Polly lost her fight to cancer in January 2008. WFRD plans to continue the radiothon every October in memory of Polly and all those touched by breast cancer. The Rhode Island Blood Center got a boost in lifesaving donations when WBRU-FM in Providence, R.I., offered anyone who rolled up their sleeve a free ticket to the Paramore show, an event that was part of the station’s Summer Concert Series. It was the third consecutive year that the station offered tickets to donors, and more than 300 listeners came to give blood along side WBRU staff. The station aired live remotes from the drive and began promoting the event with public service announcement (PSA) two weeks prior. To draw as many donors as possible, the station also sent an email blast and posted announcements on its Web site. At the Paramore show, the station provided the blood center with a booth and made promotional mentions to remind all concert-goers of the continual need to replenish our blood supply. Multiple times each year, the station meets with the center to see what additional support it can provide. To keep the need for donations on listeners’ minds, WBRU runs additional PSAs, and conducts interviews with cancer survivors and others who have needed blood transfusions. Helping to keep its listeners’ hearts pumping strong, WEZF-FM in Burlington, Vt., invited its audience to "Go Red for Women" and to participate in the Vermont Heart Walk this year. The station supported both American Heart Association campaigns with public service announcements and in-studio interviews. On-air personality Lana Wilder emceed the Heart Walk, where participants pledged to become more active and to make healthy heart lifestyle changes while raising more than $65,000 for the cause. For both campaigns, WEZF used its Web site to connect listeners to additional information. "WEZF has opened their airways and their hearts to the American Heart and American Stroke Association here in Vermont for a number of years," said Caisil Weldon, corporate events and marketing director for the American Heart Association Founder’s Affiliate. "The station gives its listeners a sense of who we are, what we do and why it is important for them to become involved as volunteers, sponsors and/or donors. They help others understand our mission by providing a forum for our survivors and volunteers to tell their stories. They stress the importance of the research funded by the AHA and how it saves lives." To serve the large retirement-age population in the area, KTLO-AM/FM and KCTT-FM in Mountain Home, Ark., started an annual event 17 years ago focused on the lifestyle and health of older Americans. Today, more than 3,500 people come to the KTLO/KCTT Senior Expo and Baxter Regional Medical Health Fair each year. With many free and low-cost screening tests, including hearing, eyesight, cardiac health and blood sugar, the fair provides access to needed health services. For weeks before the two-day event, the stations run hundreds of promotional spots. In 2008, 12 live interviews with hospital staff about the importance of the screenings were broadcast to motivate community members to attend. On the day of the expo, live cut-ins aired every hour. "In the ever-changing world of health care it is crucial to impart information to the general public in a variety of venues," said Donna McMullen, director of marketing for Baxter Regional Medical. "It has been a pleasure to partner with KTLO/KCTT and serve the community needs in such a necessary manner for these many years." As pioneers in this area, KTLO and KCTT are helping other stations start up similar health efforts in other areas of the state. KGUN-TV in Tucson, Ariz., helped make the seventh annual “10K Catwalk for the Bobbi Olson Fund for Cancer Research” the most successful Catwalk to date. By the time all participants had crossed the finish line at the University of Arizona campus, $130,000 had been raised for the Arizona Cancer Center. Hall of Fame Coach Lute Olson started the race in the name of his late wife Bobbi, who died of ovarian cancer in 2001. KGUN inspired viewers to participate in the race by producing and airing public service announcements featuring Olson and former University of Arizona basketball stars Steve Kerr and Sean Elliott. The station also produced an exclusive half-hour special featuring Olson and former players talking about what Bobbi meant to them and the importance of raising money for cancer research. In the history of the Catwalk, more than $1 million dollars has been raised for cancer research in Arizona. "Buddy Check," a program developed by WTLV-TV and WJXX-TV in Jacksonville, Fla., in partnership with Baptist Medical Center, is helping women find breast cancer early, when it is easiest to treat. Every 12th day of the month, the stations run stories during the morning, early evening and late-night newscasts, reminding women to perform breast self-exams and encouraging them find a buddy who will remind them as well. To highlight the importance of the program, the stations run a monthly feature story about a person who credits finding her breast cancer to "Buddy Check." To date, 285 local women and men have contacted the station to say "Buddy Check" saved their lives. The program was implemented by Jeannie Blaylock, an award-winning anchor whose enthusiasm and dedication to the mission of educating women on the value of early detection has remained one of the program’s greatest strengths since its inception 16 years ago. Blaylock continues to speak to groups around the community about the importance of breast self-exams. More than 2 million free "Buddy Check" kits have been distributed to women throughout the globe, and the program has been duplicated in more than 50 U.S. cities. Organ and blood donations save lives, and KTAZ-TV in Phoenix, Ariz., uses its time and resources to share this message with viewers. The station produced two 30-minute specials about organ donation, which included testimonials from those waiting for an organ and from families who have donated organs from a loved one. Church representatives and doctors appeared in the programs to talk specifically about donation within the Hispanic community. KTAZ also organized two blood drives at the station. Leading by example, on-air talent donated blood live on the air. Public service announcements and news stories helped to bring in others willing to roll up their sleeves. "Your drive helps to assure that blood is available for patients in need," Keila Estrada of United Blood Services wrote in a letter to the station. "On behalf of United Blood Services’ staff and the many patients who will benefit, thank you for being part of this important community service." Gilda’s Club, a place where people facing a diagnosis of cancer can share their hopes and fears, is opening its doors to the community of which WMGN-FM in Madison, Wis., is a part. Once plans were underway for the new facility, which is a part of an international nonprofit organization founded in memory of comedian Gilda Radner, the station organized the three-day “Magic 98 Concert for Gilda’s Club” to help bring in the funds needed to break ground. For the “concert,” the station aired recordings of nationally known artists live in concert between special guest appearances and call-ins from Gilda’s friends throughout the country. After the success of the inaugural event, the station held a second “Concert for Gilda’s Club” radiothon one year later. Highlights included an on-air call from Gilda’s brother, Michael; a candid interview with WISC-TV’s Toni Morrissey about her skin cancer diagnosis; and listeners’ stories. The two events, which raised nearly $250,000 for the new facility, involved months of planning and a commitment by WMGN staff to log in long hours. “WMGN has been great,” said Cindy Alvarez, chair of the board for Gilda’s Club Madison Wisconsin. "We are very thankful for their continuing support and talent. The “Magic 98 Concert for Gilda’s Club” was given first place honors by the Wisconsin Broadcasters Association for making a significant community impact. The 13th annual All American Blood Drive, sponsored by WTVG-TV in Toledo, Ohio, offered viewers an untraditional way to celebrate the Fourth of July holiday. The 13-hour kick-off event marked the beginning of a nine-day campaign to increase blood donations during summer, a time when blood needs are often greater than the supply. WTVG broadcast live from the event both in the morning and at noon, and then held an afternoon employee blood drive at the station. Public service announcements featuring on-air personalities and news coverage added to the support. "WTVG’s sponsorship has been huge and amazing for us over these past 13 years. They are always willing and ready to jump in," said Annie Marckel from the American Red Cross Blood Services, Western Lake Erie Region. Each of the 168 people who gave blood on the day of the kick-off event saved up to three lives with their donation. Whether it’s the annual Relay for Life event or the Making Strides Against Breast Cancer walk, WLHK-FM in Indianapolis, Ind., rallies behind its local American Cancer Society chapter throughout the year. In the past 12 months, the station gave more than $40,000 worth of promotional airtime to the American Cancer Society and built custom Web pages on the station’s site to support each of the organization’s local events. With WLHK’s help, last year’s Making Strides Against Breast Cancer walk, which was emceed by a station personality, attracted nearly 6,000 participants and raised more than $350,000. The event is the largest single-day fundraiser for the chapter. Work is already underway at the station to make the upcoming walk an even greater success. “WLHK is committed to helping us fight this disease by providing promotional support of our events to spread awareness. We value the leadership role WLHK is taking in our community as a station that cares about this cause," said Tanya Husain, executive director of the American Cancer Society, Central Indiana Area Service Center. Each year, KXPS-FM in Dallas, Texas, inspires thousands of volunteers to roll up their sleeves and donate blood at the station’s week-long Classic Rock Summer Blood Drive. The most recent drive, which took place at three locations across Dallas and Fort Worth, inspired 3,500 listeners to give blood. Live entertainment, celebrity visitors and giveaways, including autographed guitars from ZZ Top and The Eagles, were all arranged by the station. In addition, KXPS ran on-air announcements starting three weeks prior to the drive, built a dedicated Web page and broadcast live on-site. The station has been part of the Summer Blood Drive since its beginning. In its 34-year history, 40,000 donors have participated, saving countless lives. KZPS was recognized nationally by America’s Blood Centers with its Media of the Year Award of Excellence for the significant role it has played in supporting community blood programs. New Year’s resolutions to eat right and work out are always easier to keep with a little encouragement, which is why WPOZ-FM, WMYZ-FM and WHYZ-FM in Orlando, Fla., started “Ellis and Tyler’s Dash for Health.” The stations’ morning show team, Ellis Feaster and Tyler McKenzie, invited listeners to join an eight-week wellness initiative, with an ultimate goal of getting both themselves and their fans healthier. Each weekday, local health experts went on the air to give helpful advice about everything from eliminating high-fat foods from the dinner table to finding a balance between family, work and a healthier lifestyle. In addition, weekly emails containing tips and practical recipe ideas were sent to participants, and free “Dash for Health” exercise classes were offered at area YMCAs. “We feel this is an amazing opportunity to join with the community to learn how to make healthier lifestyle changes a priority in 2009,” said McKenzie. Fox Sports Radio affiliate KRKO-AM Everett, Wash., held a two-hour drunk driving awareness program as part of the station’s Health Matters series. On-air talents Maury Eskenazi, Shannon O’Kelly and Stitch Mitchell interviewed several Everett officials including two members of law enforcement, a prosecuting attorney, a state liquor control board representative and a DUI victim. KRKO-AM staff members were given sobriety tests to demonstrate the effects alcohol has on perception and motor skills. Click here to listen to the broadcast. For the third year, KYXY-FM in San Diego, Calif., broadcast live from the local American Cancer Society’s “Making Strides Against Breast Cancer 5K Walk” in Balboa Park. More than 18,000 people gathered that Sunday morning, raising $1.5 million in funds for the treatment, prevention, early detection and research of breast cancer. The event was promoted during the previous 30 days with 200 recorded and live promotional announcements; four inclusions in KYXY’s e-newsletter, which reaches a subscription base of 30,000 readers; and two live interviews with organizers and team captains the week before the walk. The two-hour live on-site broadcast aired during the station’s public affairs program “Concerning San Diego.” KYXY was honored by the American Cancer Society with a Media Circle of Hope award in 2007. During National Breast Cancer Awareness Month, XEWW-AM in Burbank, Calif., launched a campaign to raise awareness within the Hispanic community. On the air, the Spanish-language talk radio station aired several interviews with cancer survivors and health experts, including Esther McDowell, spokesperson for the Office of Women’s Health. XEWW also dedicated significant time to answer questions from its community about breast cancer during “Cita con el Doctor,” a regular health topic show hosted by Elmer Huerta, M.D., the first ever Latino president of the American Cancer Association. In addition to its on-air support, the station had a presence at events in the community, such as the el Consulado Mexicano Health Fair, where women received free mammograms and the station distributed prizes to attendees. NBC affiliate KXAS-TV Dallas anchor and reporter Kristi Nelson recently shared a touching, personal story of donating a kidney to her mother during a multi-part series titled "Kristi’s Gift." "I’m doing this because she’s my mother and I love her and I think she has a wonderful spirit," said Nelson. "I also think it’s an especially important message to send to minority communities, including African Americans and Hispanics. The message is that we need to take care of ourselves and that if we do have contributing factors to kidney disease we can control them." The series examined kidney disease, organ donation and transplantation from the emotional perspective of a daughter who witnessed her mother taking dialysis three times per week. In addition to the on-air series, Kristi’s Gift has its own page on the NBC 5 website with kidney disease resources and the stories of others who are awaiting transplants. Kristi’s Gift aired on KXAS newscasts in three parts and was produced by NBC 5’s Emmy Award winning team. Entercom Sports’ WEEI-AM, Boston partnered with a regional cable sports channel on the 10th annual Jimmy Fund radio telethon to raise $3.3 million for the Dana Farber Cancer Institute. The 36-hour broadcast included interviews with Red Sox legends Mo Vaughn and John Valentin before the pair threw out the first pitches of the Red Sox - Yankees game on August 31. The money raised at Fenway Park funds patient care and cancer research. As two of the Jimmy Fund’s biggest supporters, Vaughn and Valentin’s appearance made a strong impression on the pediatric patients and their families. Emotional patient stories and interviews with doctors and researchers were intertwined with appearances from prominent Boston sports figures, including several members of the Red Sox. Featured personalities included Glee’s Mike O’Malley, Boston Bruins Charlie Jacobs, Celtics’ Stephen Pagliuca, and Major League Baseball Commissioner Bud Selig. Red Sox players included Tim Wakefield, Clay Buchholz, Jacoby Ellsbury, Dustin Pedroia, David Ortiz, and Adrian Gonzalez. Infinity Broadcasting’s WXRK-FM New York, 92.3 NOW, teamed up with Riccardo Maggiore Salon to raise money and awareness for breast cancer during the 11-day San Gennaro Feast in Manhattan’s Little Italy. At the 92.3 NOW booth, salon artists applied pink feather hair extensions for a $5 donation. Proceeds went to the Libby Ross Foundation, which offers unique support and wellness programs for women affected by breast cancer. "Green, White, Red and Pink are a great color combination," said 92.3 NOW morning show host Nick Cannon. "It’s an honor to team with the Libby Ross Foundation, a charity that is making a huge difference in the fight against breast cancer." Clear Channel’s Fresno, Calif. soft rock station KSOF-FM and country station KHGE-FM collected celebrity autographed bras for an auction held on October 21. The station has already collected autographed bras from Maroon 5, Bret Michaels, and Michael Buble and more. The auction will benefit the Susan G Komen Foundation, an organization which supports education and research related to breast cancer. For the past ten years, Shurz Communications’ WSBT-AM Radio South Bend, Ind. has supported University of Notre Dame basketball coach Mike Brey’s Coaches Versus Cancer campaign. Coaches Versus Cancer is a nationwide collaboration between the American Cancer Society and the National Association of Basketball Coaches. The initiative leverages the personal experiences, community leadership and professional excellence of basketball coaches nationwide to increase cancer awareness and promote healthy living through year-round awareness efforts, fundraising activities and advocacy programs. WSBT-AM held Coach Brey’s annual two-day radiothon. WSBT-AM personalities provided live remote broadcasts at partner locations throughout the community to raise funds through onsite donations, donations via text and the sale of t-shirts. A new event, the Coaches Versus Cancer Night of Lights, also debuted this year. This event featured live music, ice cream and an honor ceremony. Luminaries were lit along a walkway decorated in honor of victims of cancer. WSBT-AM yielded the largest totals in the event’s history, raising nearly $3,000 for the American Cancer Society and Coaches Versus Cancer. Triad Broadcasting’s country station, WUBB-FM (BOB 106.9) Bluffton, South Carolina morning personality Tim Leary and PD Kenny Jay raised over $2,000 in their “Kickball 2 Kick Cancer Tournament.” The money raised benefitted The Pink Heals, a group of firefighters who volunteer their time to help raise money and awareness for breast cancer. CHET-5 Broadcasting’s WDST-FM Woodstock, NY raised $100,968 for breast cancer research in this year’s Request-A-Thon and other Pink October Fundraising efforts. The money supports the Dyson Center for Cancer Care at Vassar Brother Medical Center in Poughkeepsie, NY. CBS Radio Group’s WYCD-FM Detroit raised over $450,000 during its annual "Cares for St. Jude Kids Radiothon." 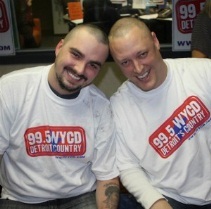 WYCD personalities Jack Shell and Coop vowed to shave their heads if the station hit $200,000 during their shift. WYCD listeners met the challenge, so Jack and Coop had their heads shaved in the station’s lobby immediately following the show. 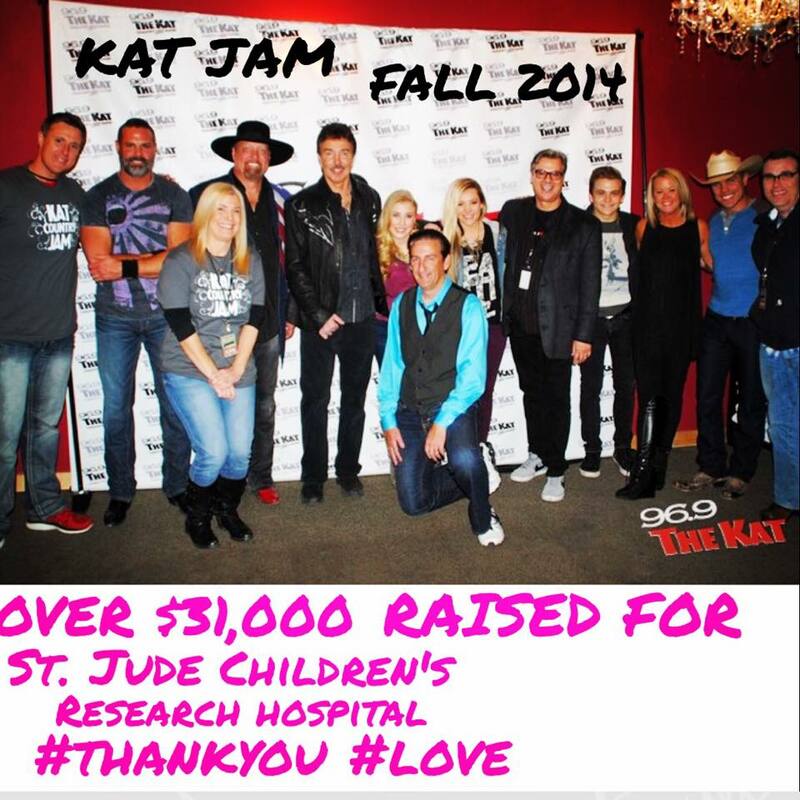 Over the past 12 years, listeners have helped Detroit’s country music station raise over $6.1 million for the children at St. Jude. California Oregon Broadcasting’s NBC-affiliate stations KOBI-TV and KOTI-TV teamed up with Care Oregon to present A Night of Healing: Life after Breast Cancer for women transitioning from breast cancer treatment to breast cancer survival. A panel of caregivers, specializing in various aspects of breast cancer, took private, anonymous calls for an hour. Callers spoke with the specialist of their choice regarding best practices for living with and after breast cancer. The stations included commonly asked questions and answers on Facebook during and after the event. Cox Radio’s KKBQ-FM (93Q) morning show host Kevin Kline ran 62 miles a day for a week to help raise awareness and money for the Texas Children’s Cancer Center. Kline, who doubles as president of the Snowdrop Foundation, which raises money for the hospital, ran on a .75 mile loop around the center. Why 62 miles? There are 62 beds being occupied by kids at the center. Kline invited listeners and other supporters to join him and run any distance they choose. The Snowdrop Foundation supports the center’s cutting edge work in pediatric cancer research, provides twice annual weekend excursions for patients, and awards college scholarships to pediatric cancer patients and childhood cancer survivors. "This is to symbolically show what the children have to go through, through their chemotherapy," Kline said. "There is nothing comfortable about this; they actually experience pain. I just experience degrees of discomfort." Lincoln Financial Media’s KSON-FM San Diego hosted a blood drive to benefit the San Diego Blood Bank. The first 97 donors received a free ski lift ticket. All donors could opt for a free bone marrow test. "Donating blood is that one more gift that people can give this holiday season that will really make a difference in someone’s life," said Lynn Stedd, San Diego Blood Bank spokesperson. "We appreciate KSON for helping us spread the word about the importance of giving blood on a regular basis." Since the first local Susan G. Komen Race for the Cure 21 years ago, KKCW-FM in Portland, Ore., has been a partner. The event has grown into the third largest Race for the Cure in the nation, bringing more than 47,000 people together to raise money for breast cancer research. For the past four years, KKCW’s sister stations, KEX-AM, KKRZ-FM, KPOJ-AM and KQOL-FM, have joined as exclusive radio sponsors for the event. All five stations promote the race with hundreds of promotional announcements and email blasts to their listeners starting three months before race day. KKCW aired more than 300 live and recorded spots alone. On-air talent from each station leads a race team. Last year, Dana Jeffries, KKCW’s morning show co-host, ran the course with a team of nearly 200 listeners. From before sunrise through the afternoon, KKCW’s morning show broadcast live from the event. All the stations aired race coverage, including interviews with cancer survivors and runners. After the last person crossed the finish line, a new fundraising record of nearly $3 million had been set. Team Mix from WTMX-FM in Chicago, Ill., put on walking shoes to raise money for the fight against breast cancer. Listeners were invited to join morning show host Kathy Hart, traffic reporter Melissa McGureen and assistant morning show producer Cynthia Skolak at the Avon Walk for Breast Cancer Chicago. The station provided more than $70,000 worth of airtime and Web site support for the walk, airing promotional announcements before, updates during and reports after. In addition, staff gave more than 150 hours of their time to the event. Team MIX covered 39 miles of Chicago streets during the two-day walk and raised more than $50,000 for the Avon Foundation, which awarded more than $8.3 million in grants to seven Chicago area organizations as a result of the walk. Greater Philadelphia Radio’s WMGK-FM and the American Red Cross hosted the Inaugural 102.9 MGK Rock and Roll Up Your Sleeve Blood Drive at the Flyers Skate Zone in Voorhees, N.J. The station hoped their classic rock listeners would contribute 300 units of blood to help the Red Cross maintain a stable blood supply. All donors received the opportunity to watch the Flyers practice before and after donating blood, the chance to meet Flyers Hall of Famers, a coupon for free skate rental at Flyers Skate Zone and a WMGK Blood Drive t-shirt. CBS recently announced it has teamed up with Sharon and Ozzy Osbourne to shoot a new series of CBS Cares PSAs to increase awareness of colon cancer and encourage Americans to be screened early for the disease. “Ozzy and I are proud to be part of this innovative project by CBS,” said Sharon Osbourne who is, herself, a colon cancer survivor. “My life was saved by a colonoscopy that Ozzy urged me to have, and I hope everyone who sees the campaign will enter the sweepstakes and talk to their doctor about the importance of screenings.” The announcements will run on CBS Radio, CBS Television Network, CBS Outdoor and across a wide range of CBS Interactive platforms. To learn more about the CBS Cares Colonoscopy Sweepstakes, a chance to win a trip for two to New York City along with a free colonoscopy by leading colon cancer expert, Dr. Paul Miskovitz, M.D., visit www.CBSCares.tv. Shurz Communications’ WSBT-TV and WSBT-AM Mishawaka, Ind. participated in the "Walk MS Michiana" at Indiana University South Bend. This was the second year that WSBT has sponsored a team for the 3-mile walk that raises money for Multiple Sclerosis research. Sporting bright t-shirts with the WSBT logo, the WSBT Showstoppers team included WSBT employees, family and friends. Spearheaded by a WSBT employee who suffers from MS, the group was eager and motivated and blew away their original $1,000 fundraising goal by raising $2,153 and coming in as the top corporate fundraising team. ABC-owned KFSN-TV Fresno held the 25th Annual Pint for Pint Blood Drive this month. KFSN-TV anchors and reporters broadcast live from the Jenny Eller Donor Center in Northwest Fresno for two days as blood donors came to donate a pint of their blood and in turn, earn a spint of free ice cream. Since the program started 25 years ago, 23,427 donors have participated. Donations go to the Central California Blood Center, which is the sole provider of blood and blood products for 31 local hospitals. Music lovers start lining up the night before KBCO-FM in Boulder, Colo., releases its "Studio C" CD to make sure they receive a coveted copy. While getting an impressive collection of in-studio recordings by nationally known artists, listeners are also supporting the Boulder County AIDS Project with their purchase. KBCO has released an annual limited-edition CD since 1991, donating more than $500,000 in proceeds toward medical care, support groups and financial assistance for HIV positive women, men and children living in the area. Each year, the 30,000 available copies of the CD sell out within hours. The project is a massive undertaking, requiring 500 hours of staff time. To brew up enthusiasm, the "KBCO Morning Show" conducts interviews with the artists included on the CD leading up to the sale. The station also runs 300 promotional announcements. On the day of the sale, KBCO personalities broadcast live at several locations, and they continue to talk on the air about the massive turnout and support for a week afterward. "KBCO provides the single largest donation that the Boulder County AIDS Project receives from the community. It is 10 percent of our total budget," said Ana Hopperstad, executive director of the Boulder County AIDS Project. "Without KBCO’s unwavering support for the past 15 years, we would not have been able to do the important work of supporting people with HIV and AIDS." Midwest Broadcasting Group’s KDAL-AM Duluth, Minn. raised over $750,000 for ALS during the "Blackwoods Blizzard Tour." In three days, almost 200 snowmobile riders battled snow, rain, sleet, ferries and dirt to cover 350 miles from Duluth to Lake Superior. Each rider was required to raise $1200, with the top rider bringing in over $80,000. The event has raised over $4 million in five years. "Rarely do we see fundraising totals of this caliber, especially from a community of Duluth/Superior’s size," said KDAL-AM’s Johnny Lee Walker. "KDAL is proud to be a part of an event that makes such an impact and to know this money is helping people with ALS right in our community, it’s priceless." Ohana Media Group’s KMBQ-FM Wasilla, AK hosted a “High Heels for High Hopes” Runway Style Show on August 2nd to raise money for the local chapter of the March of Dimes. The event featured a fashion show runway with 19 local celebrity models ranging from mayors, counselors, business women and people from many other professions. Each model raised $2,000 through advanced ticket sales to contribute $38,000 donated to the March of Dimes. KMBQ-FM also accepted donations through the station’s Facebook page. Several Davidson Media Group affiliates and independent stations raised $450,000 for St. Jude Children’s Research Hospital. The fifth annual Promesa y Esperanza (Promise and Hope) radio event, October 4 and 5, asked listeners in cities such as Philadelphia, Charlotte, Boston, Providence, Minneapolis and Kansas City to donate to the fight against childhood cancer and other terminal illnesses. Donations defray the costs of treatment, rehab, travel, lodging, food and schooling to help improve the quality of life for patients and their families, in hopes that no family ever pays St. Jude. Milwaukee Radio Alliance’s WLDB-FM Milwaukee hosted the 4th annual "Jane & CV Call to Care Radiothon" on October 5 to benefit After Breast Cancer Diagnosis (ABCD), a local nonprofit that is fighting the battle against breast cancer. Morning show hosts Jane & CV broadcast live from the WLDB-FM studios, soliciting listener donations and auctioning off prizes throughout the 13-hour radiothon. Greater Media’s WMGK-FM Philadelphia joined the American Red Cross to host the 2nd Annual "102.9 MGK Rock and Roll Up Your Sleeve Blood Drive" on October 6. The eight hour drive was held at the Philadelphia Flyers Skate Zone. All donors received a free skate rental at the facility, as well as a WMGK-FM Blood Drive t-shirt. The radio station’s staff also attended the blood drive to thank listeners. CBS Radio’s WOGL-FM Philadelphia hosted the 11th Annual "98.1 WOGL-FM Loves Our Kids Radiothon" to support The Children’s Hospital of Philadelphia. The two-day radiothon raised $658,272 this year, bringing the 11-year total to over $5.5 million for the local children’s hospital. CBS Radio’s WIP-AM/FM Philadelphia hosted the 12th Annual Eagles Radiothon, which raised a combined $223,150 for the Eagles Youth Partnership (EYP) and City Year charities. EYP is dedicated to ensuring that all children in the region can see, read and play safely, regardless of their zip code. Leveraging the brand and resources of the Philadelphia Eagles Football Club, EYP helps vulnerable children reach their potential, bringing health and educational resources to more than 50,000 kids in low-income neighborhoods each year. City Year is an education based non-profit that focuses on keeping students in school and on track to high school graduation. City Year is the only national organization placing full-time, trained young adults in schools to provide individual attention to struggling students. CBS Radio’s KFRG-FM San Bernardino and KXFG-FM Sun City raised over $305,000 in the 11th Annual "K-Froggers for Kids Radiothon" to benefit the pediatric cancer unit at Loma Linda University Children’s Hospital in Riverside, CA. The stations have raised $4 million for the hospital in 11 years. Fisher Broadcasting’s KVAL-TV Eugene, OR served as the official media sponsor for the Eugene/Springfield area’s Relay For Life. KVAL-TV supported Relay with eight public service announcements that ran from February through August for a total value of over $44,000 in airtime and production services. KVAL-TV’s news team aired 15 stories, 10 packages and accomplished 13 live shots at the event. In total, the record-breaking event with 171 teams, including the KVAL-TV team of 30 employees, raised $719,785 for the American Cancer Society. Brenda Webber, district executive director, Great West Chapter of the American Cancer Society said, "KVAL-TV has always been wonderful about producing unique, local public service announcements encouraging participation and support for Relay For Life. We couldn’t be more grateful to have them as a partner in the fight against cancer!"